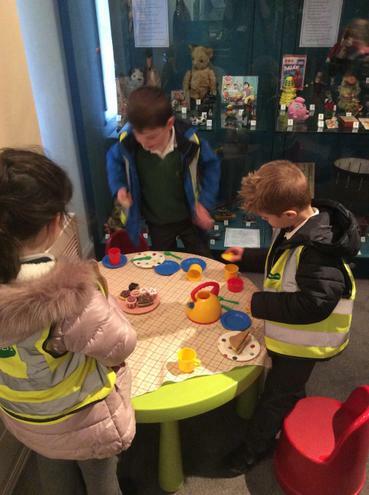 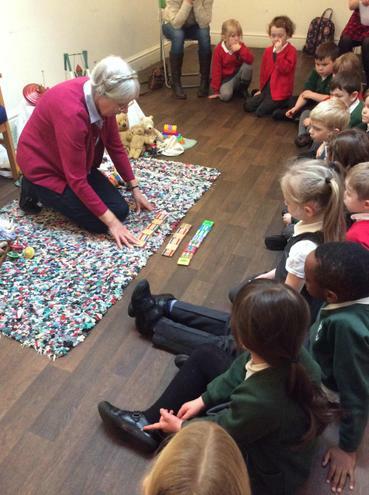 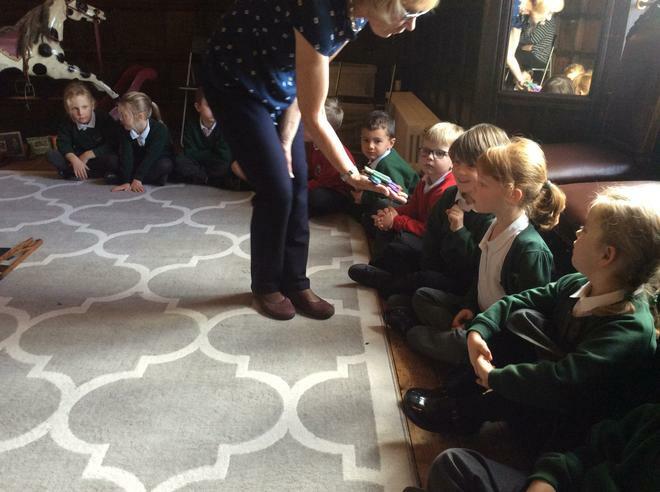 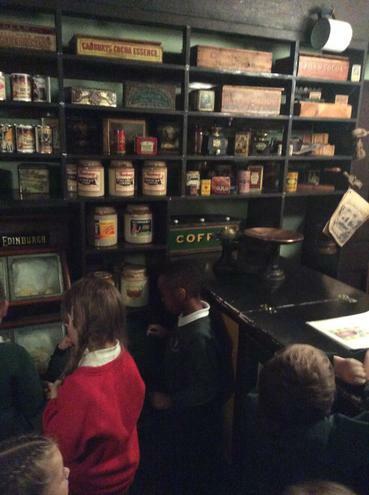 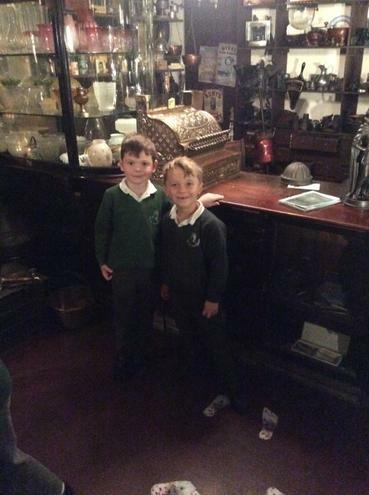 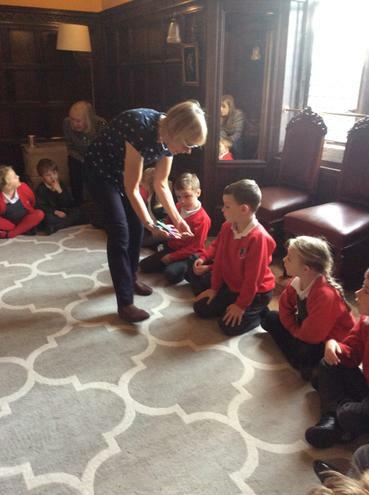 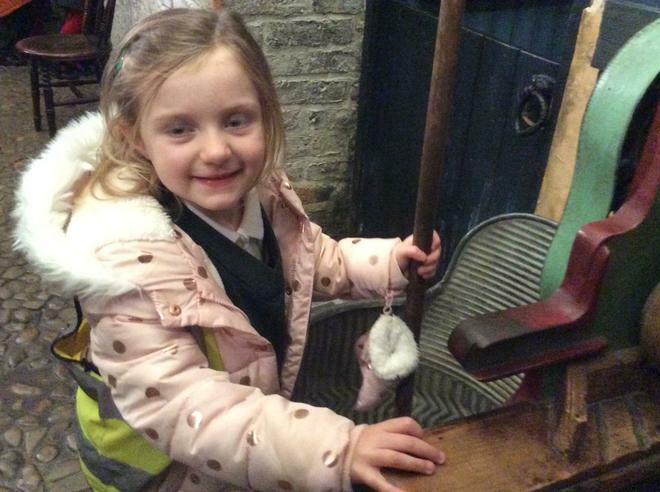 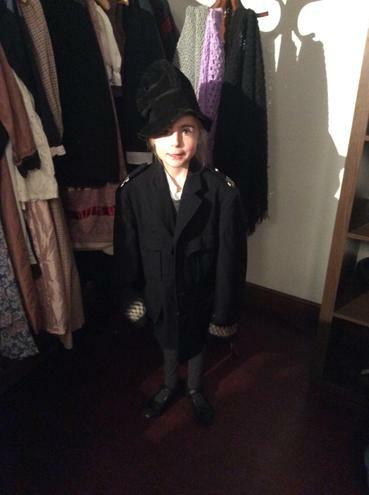 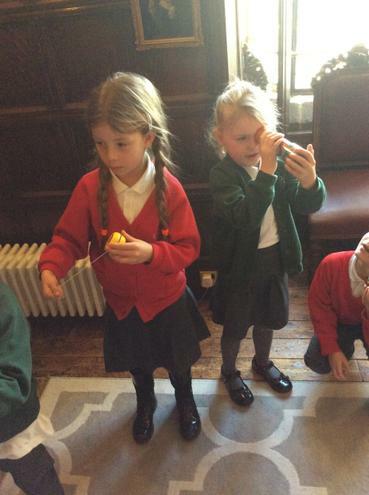 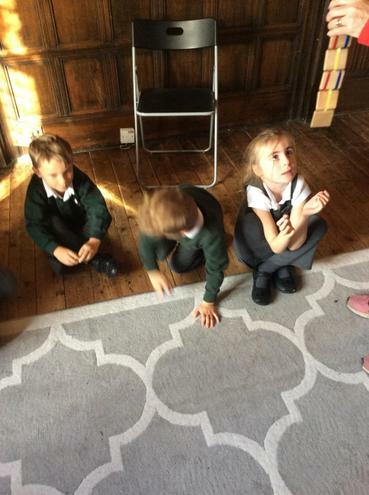 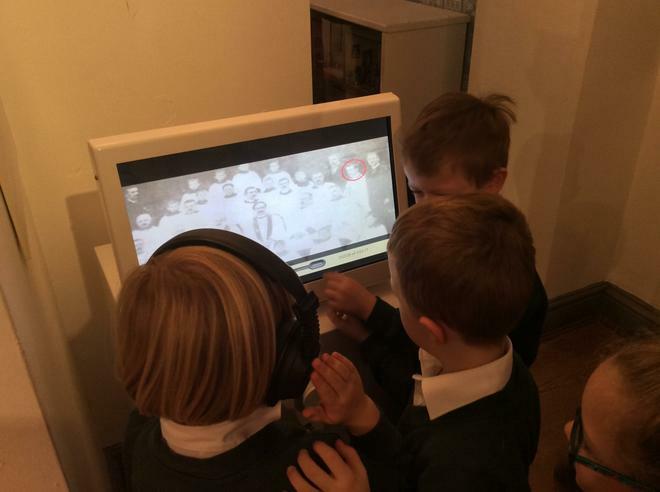 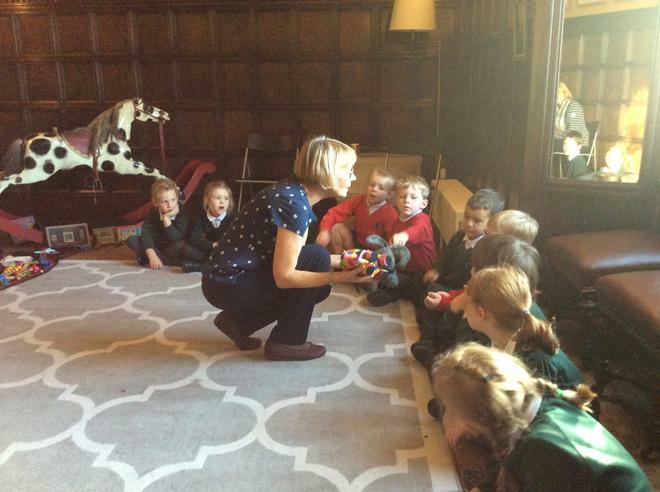 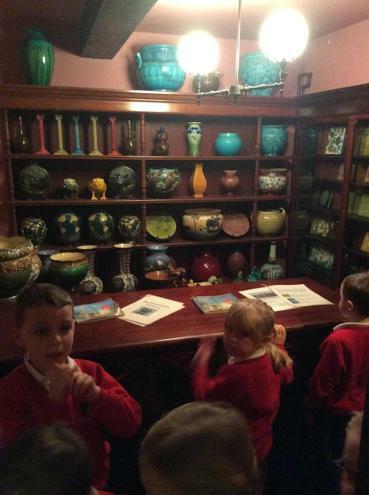 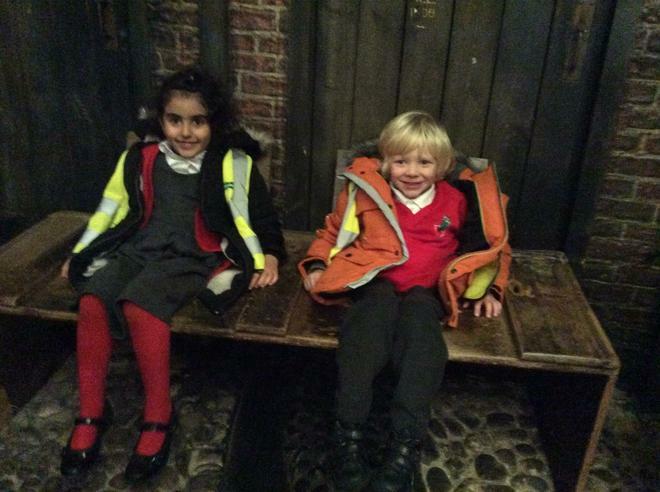 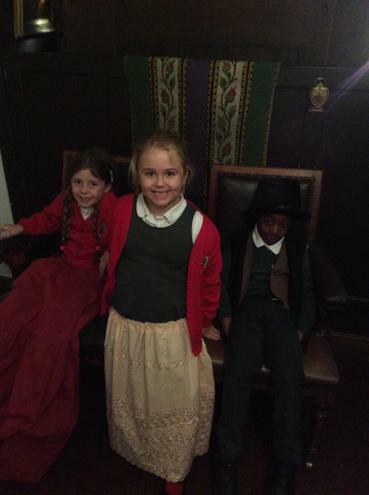 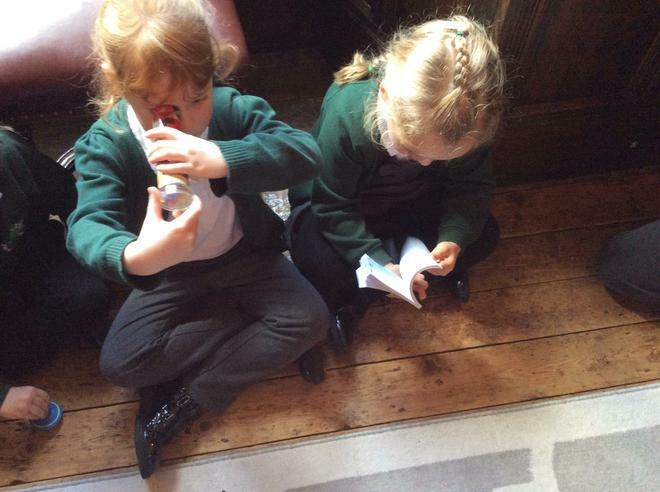 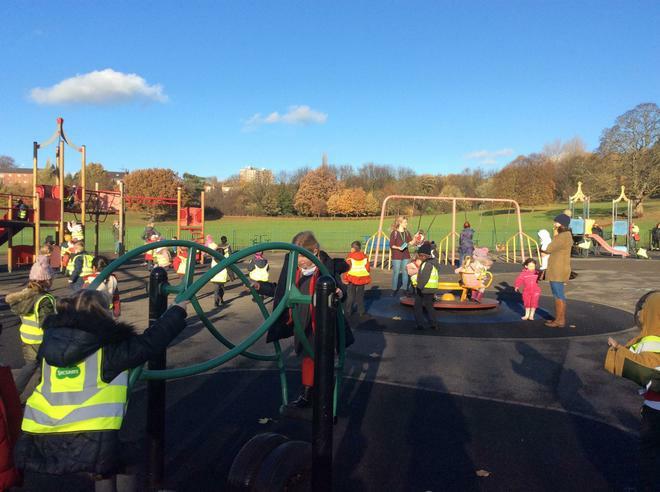 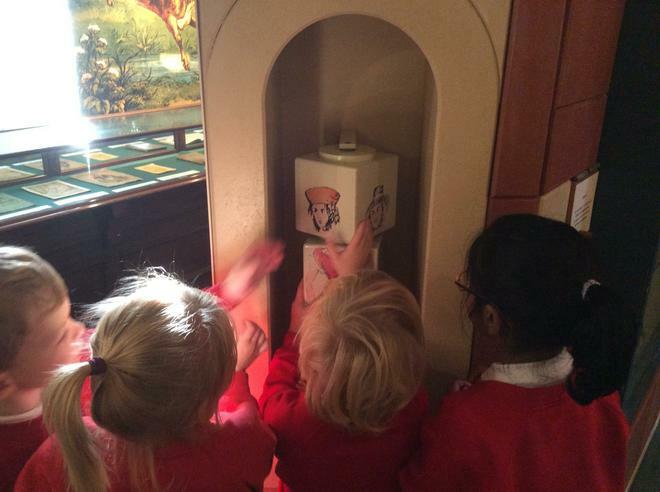 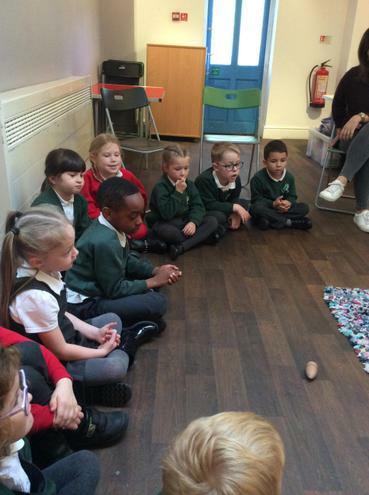 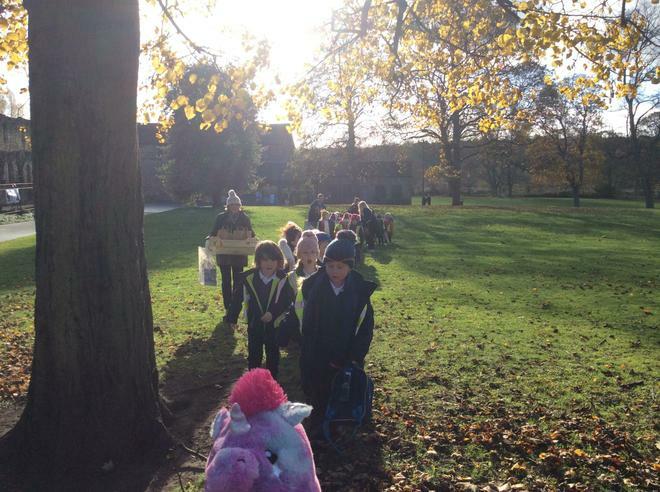 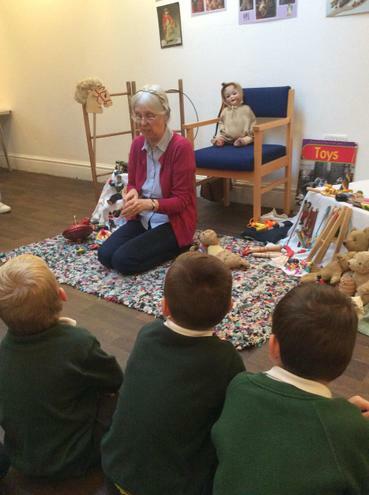 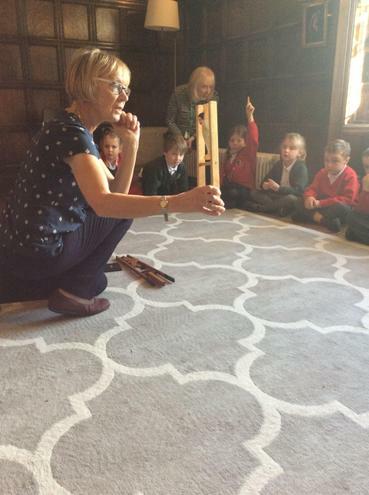 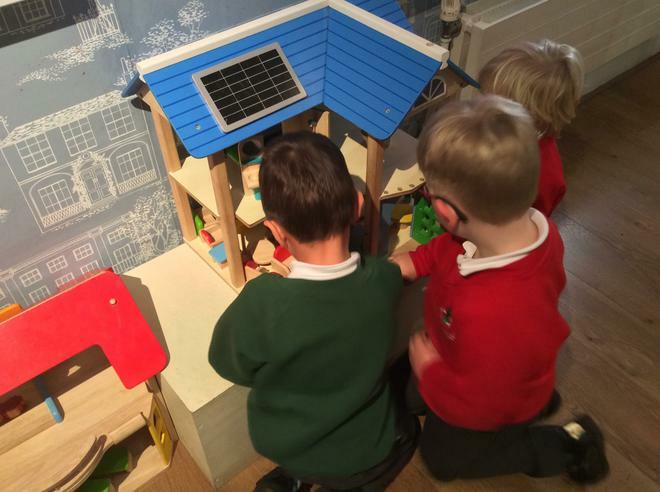 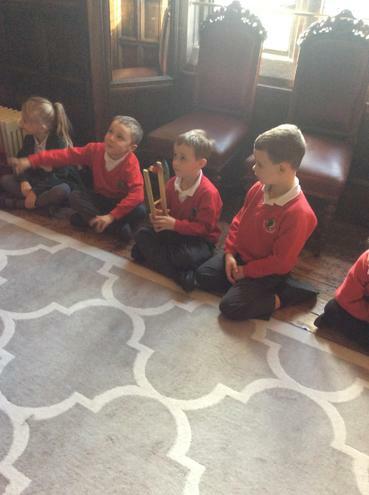 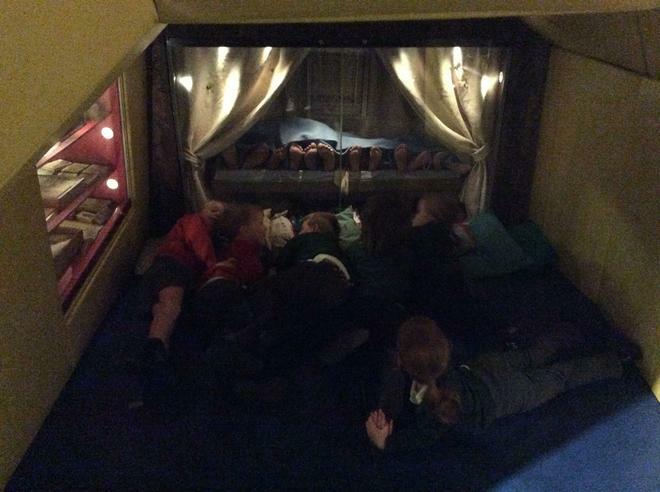 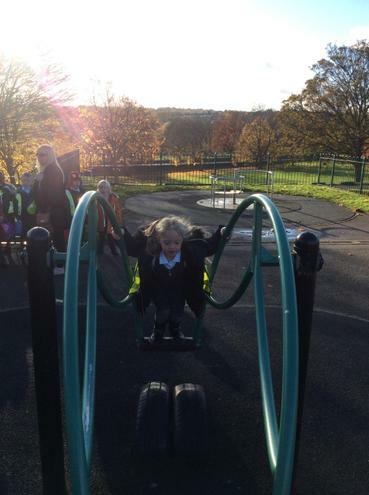 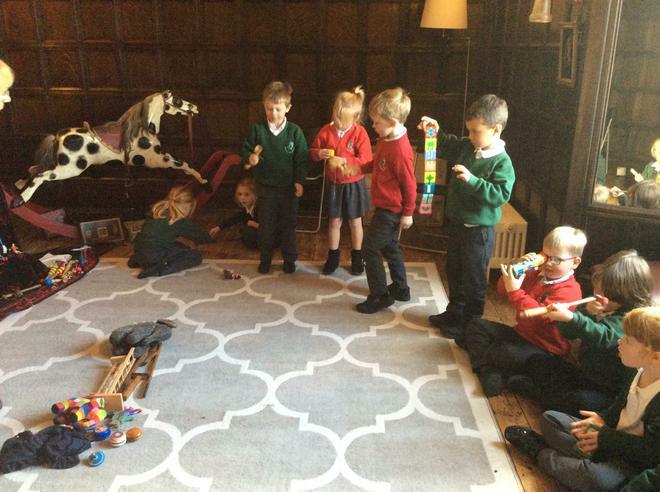 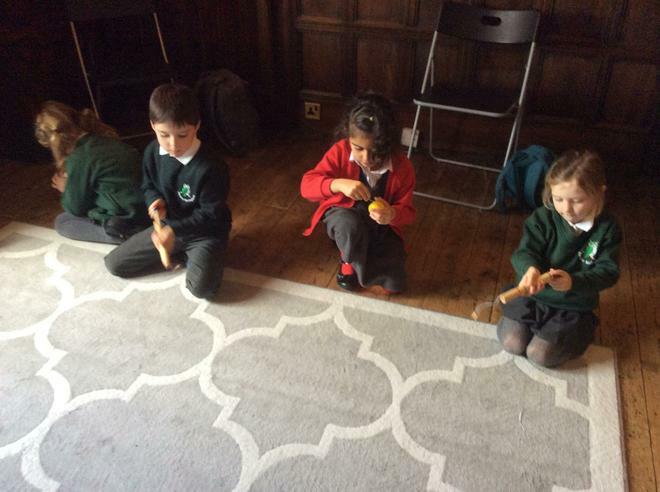 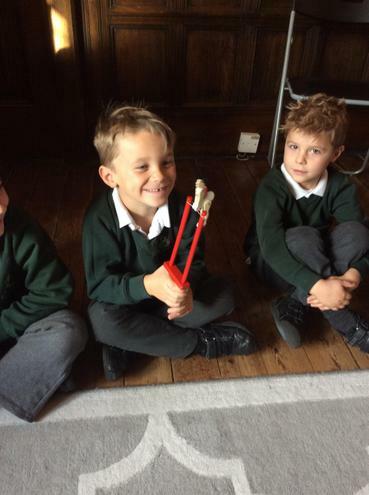 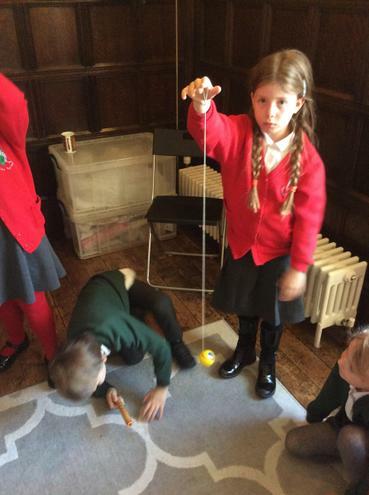 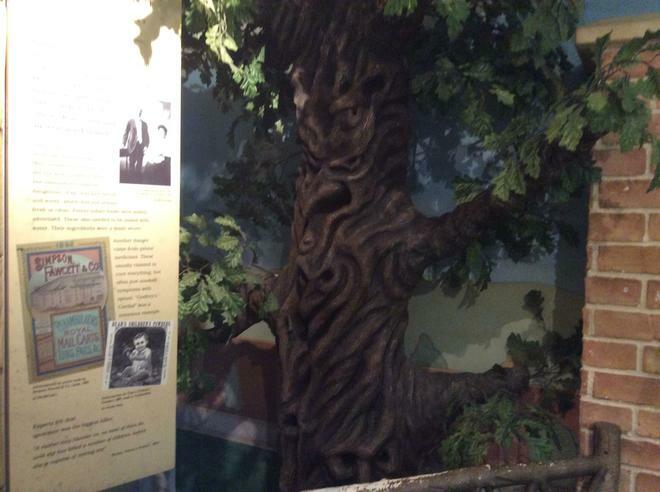 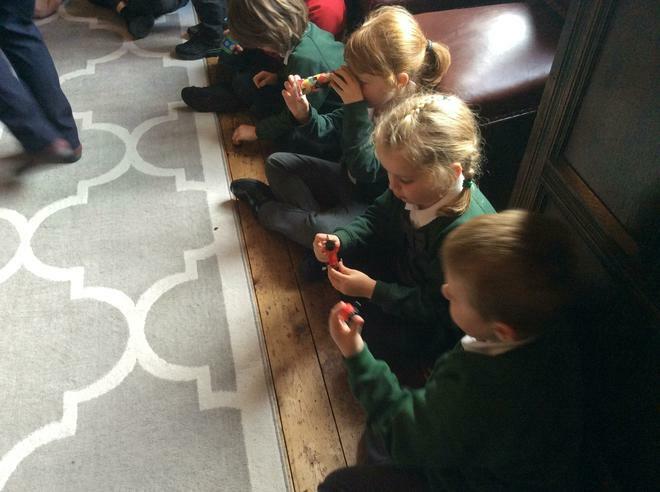 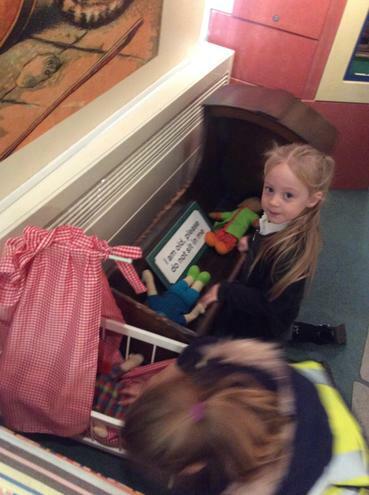 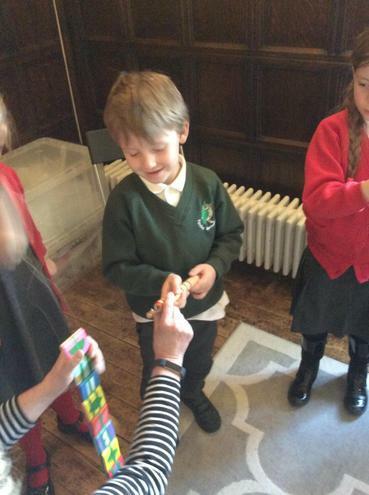 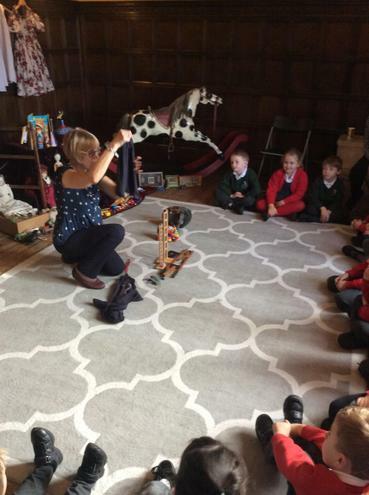 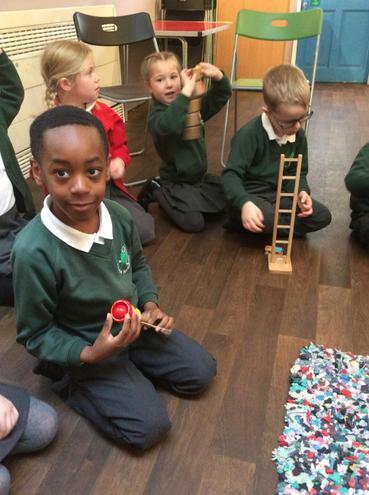 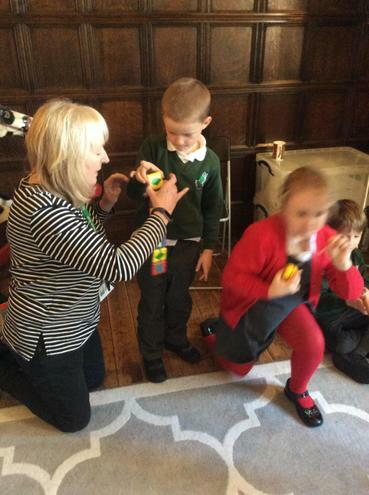 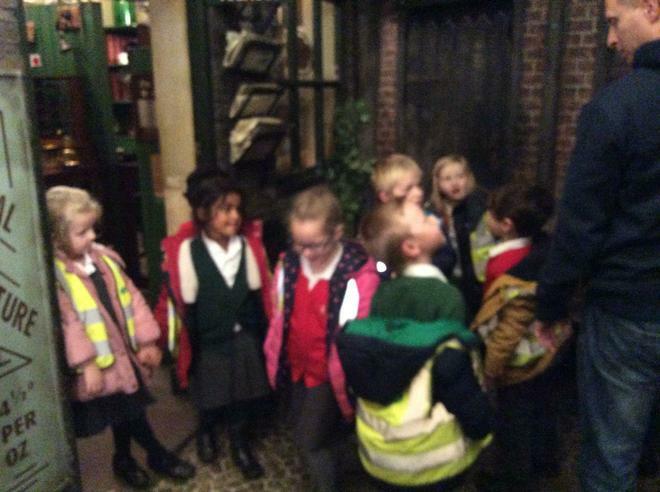 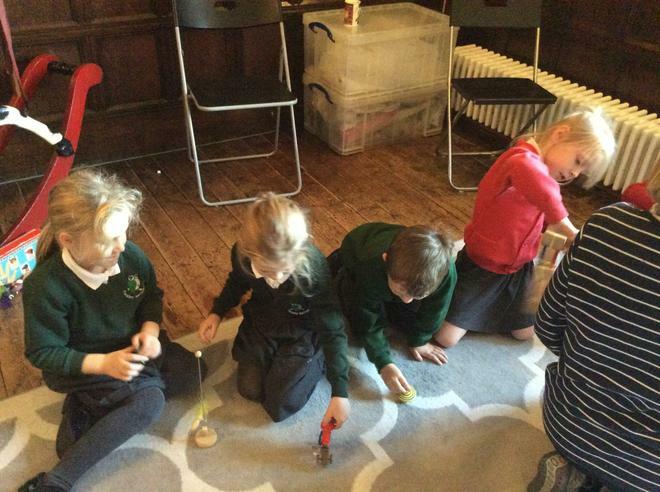 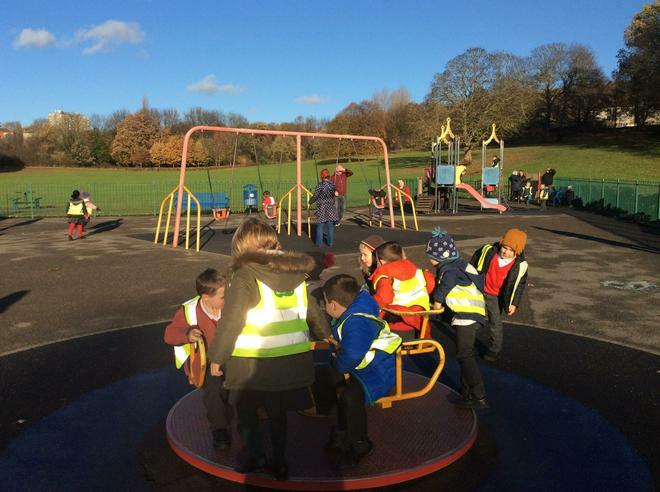 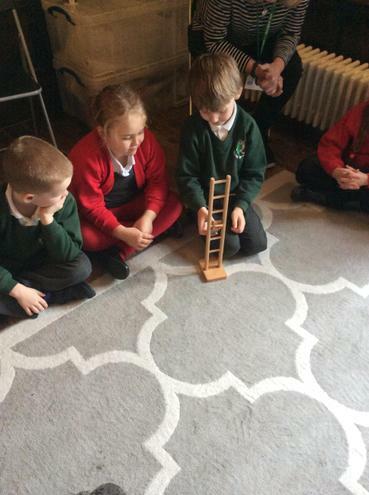 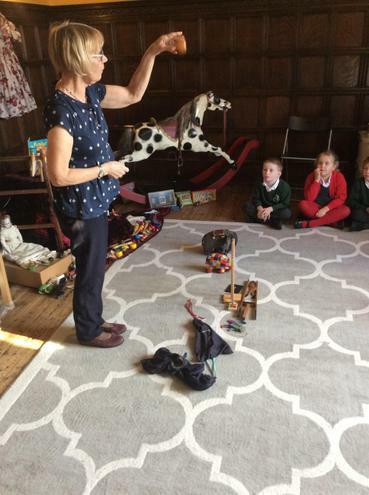 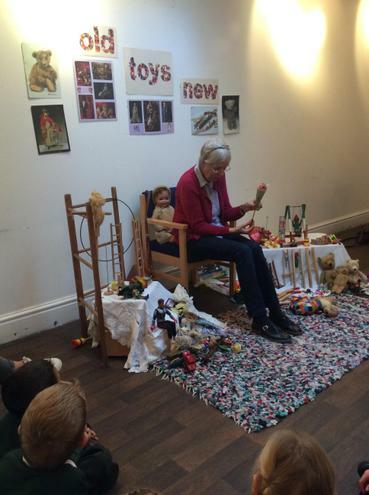 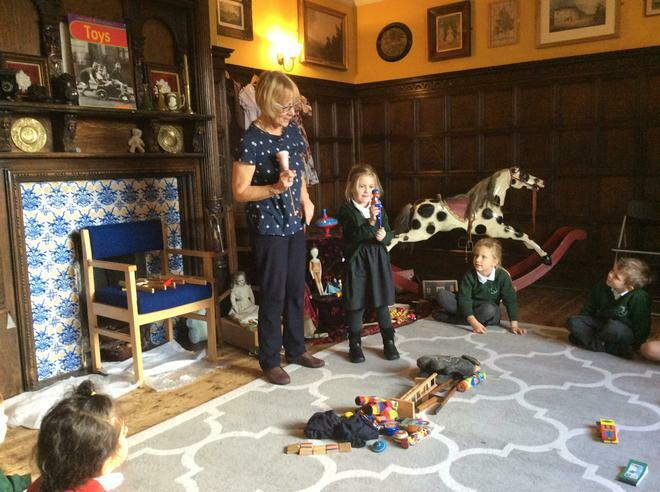 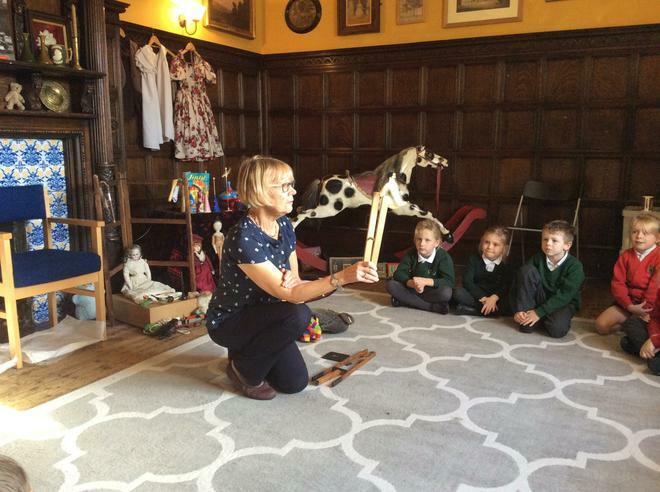 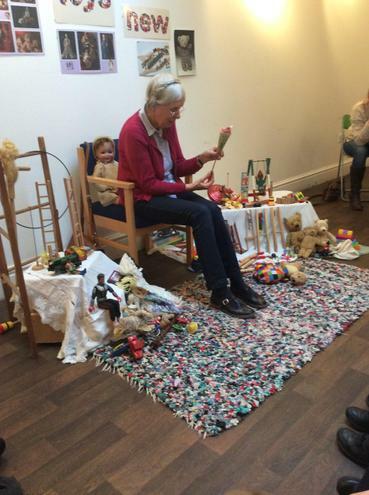 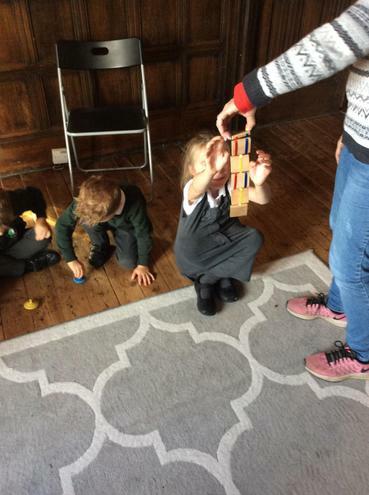 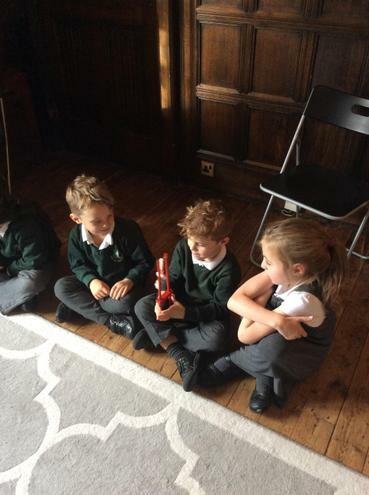 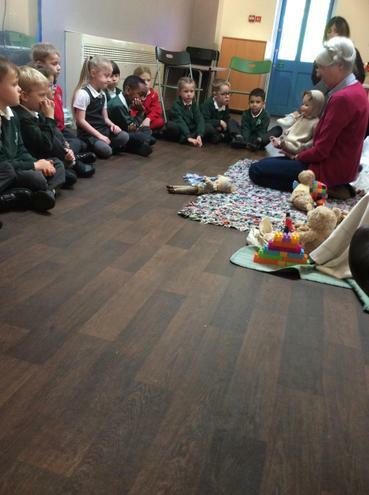 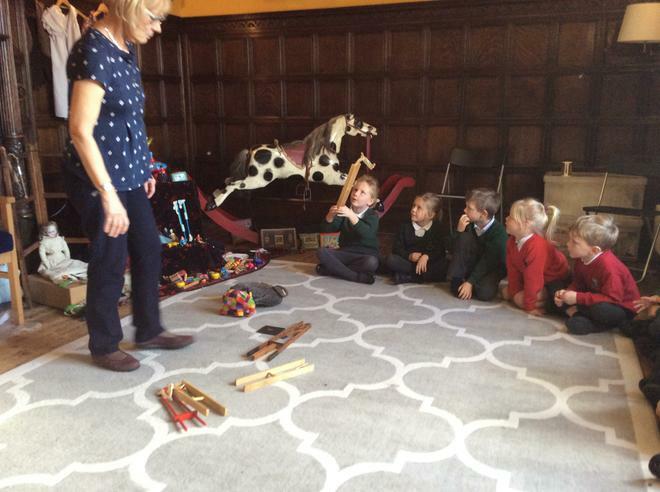 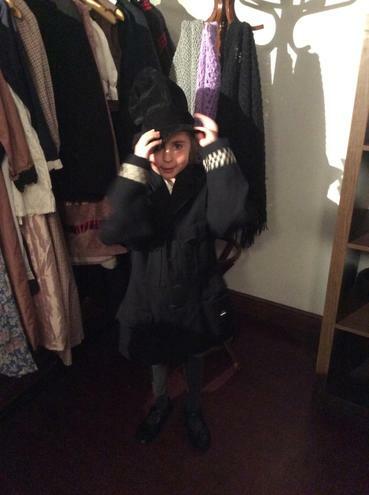 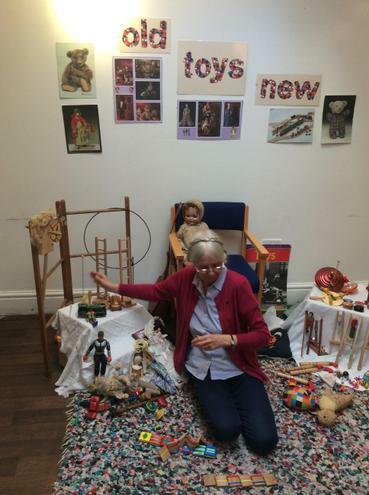 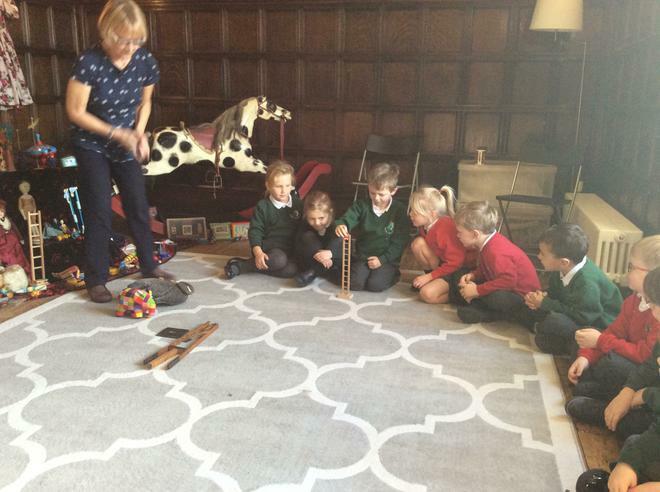 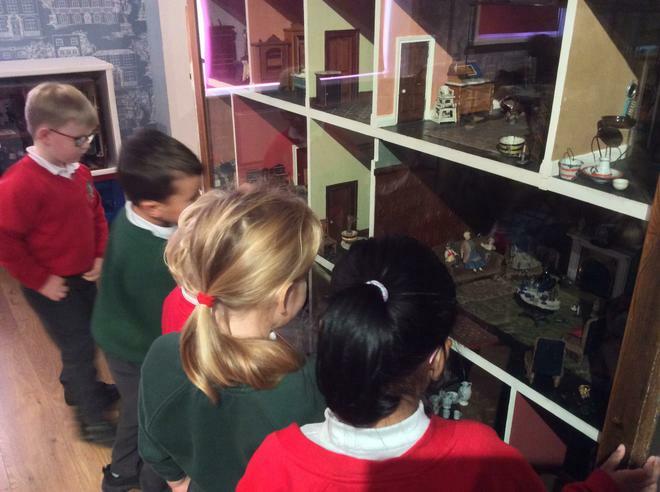 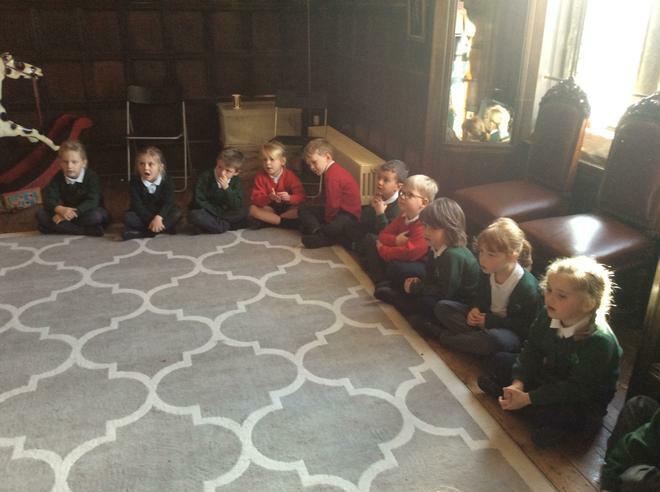 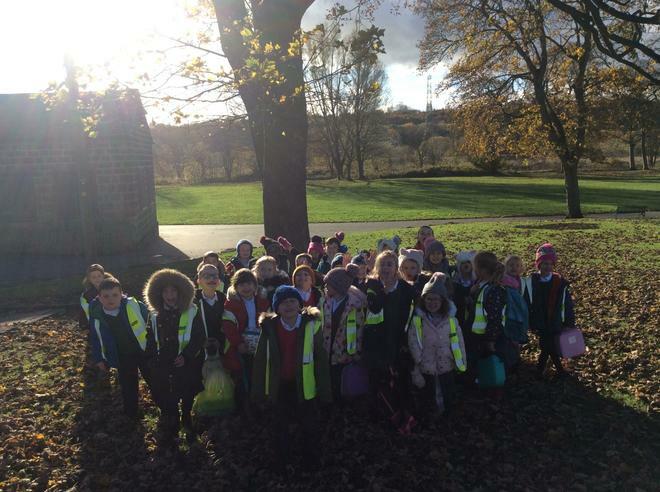 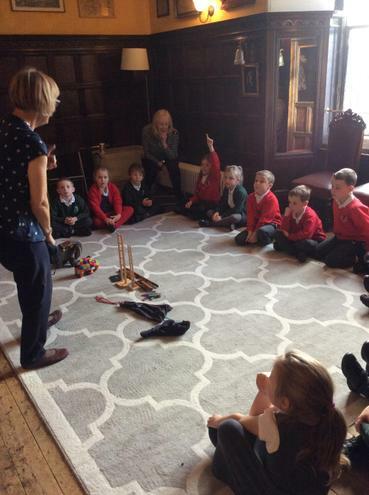 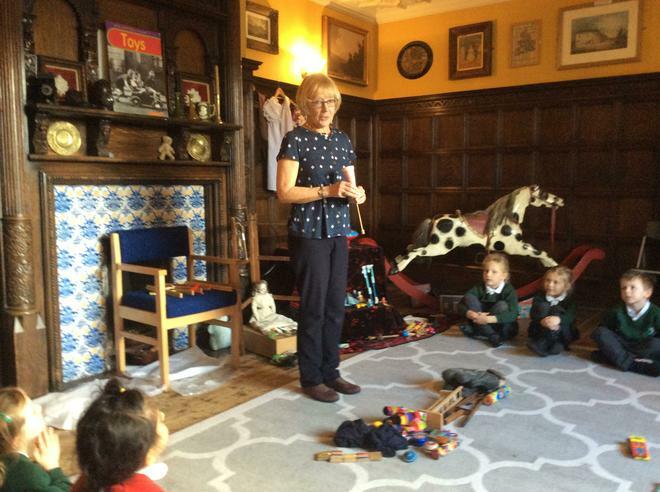 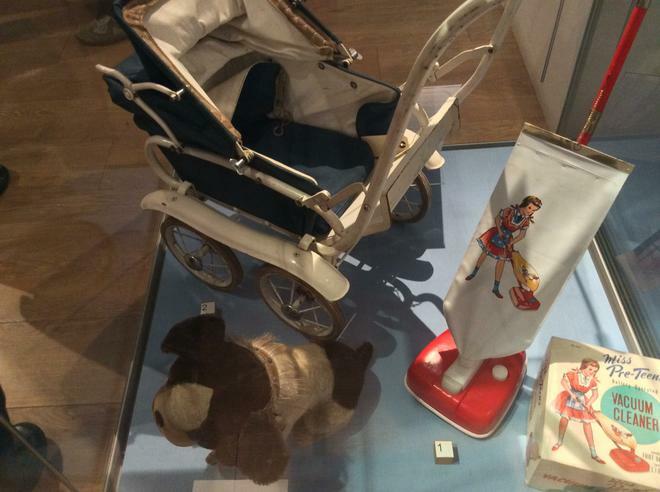 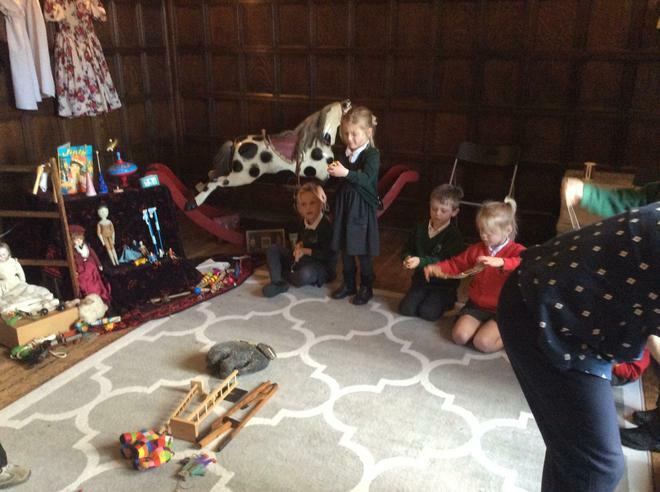 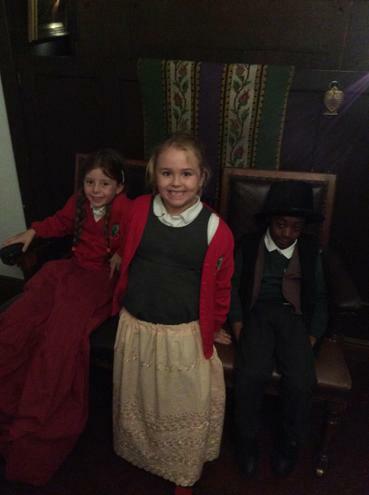 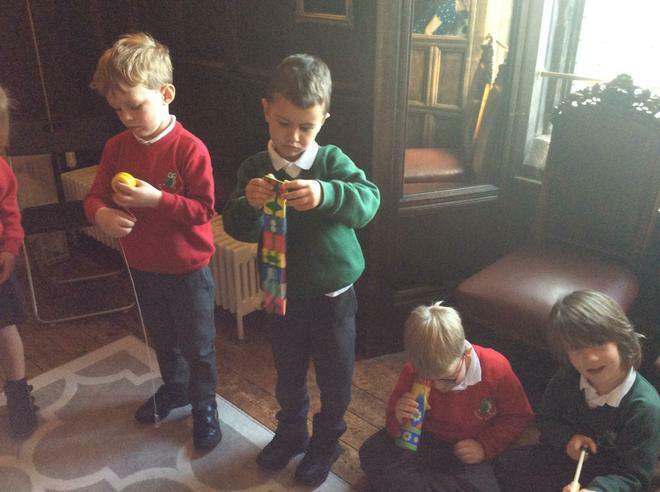 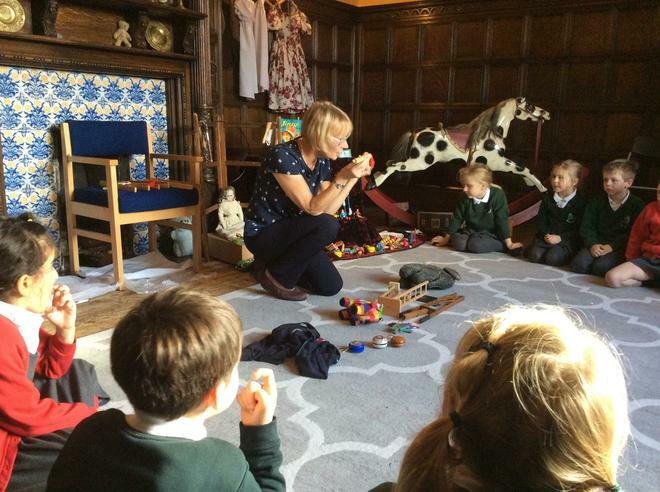 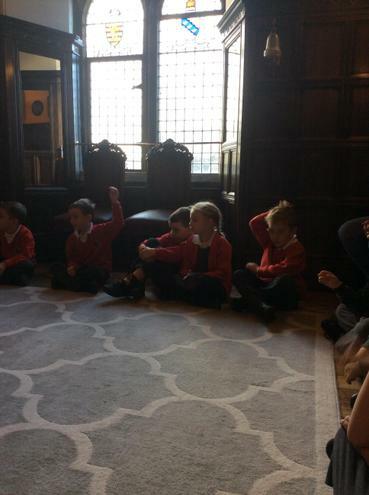 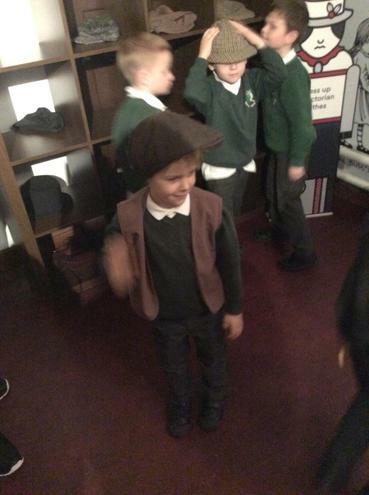 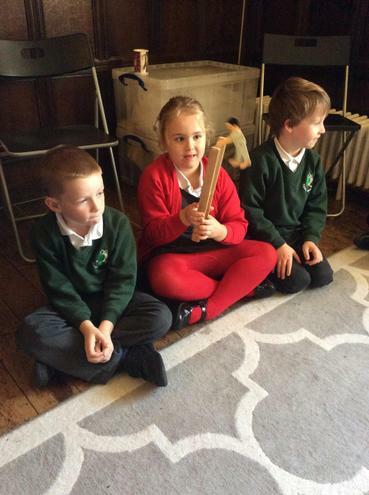 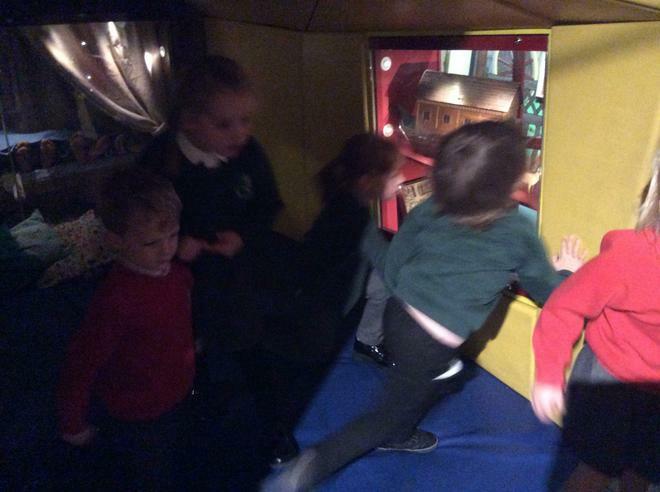 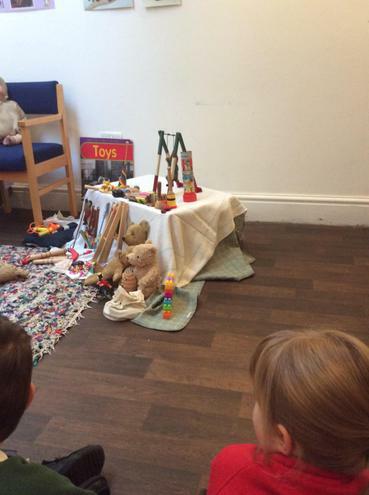 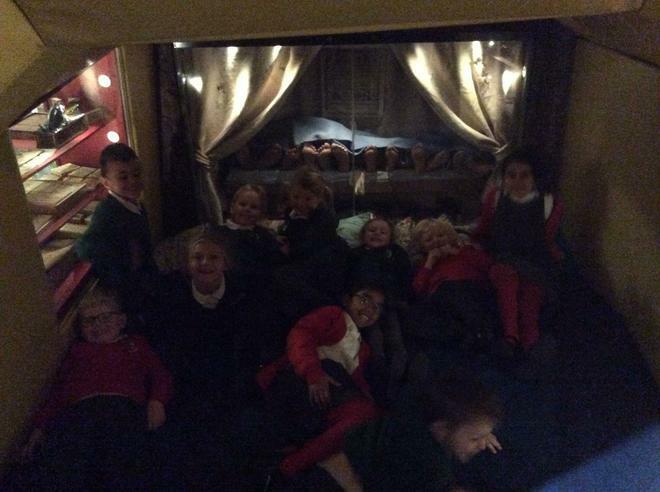 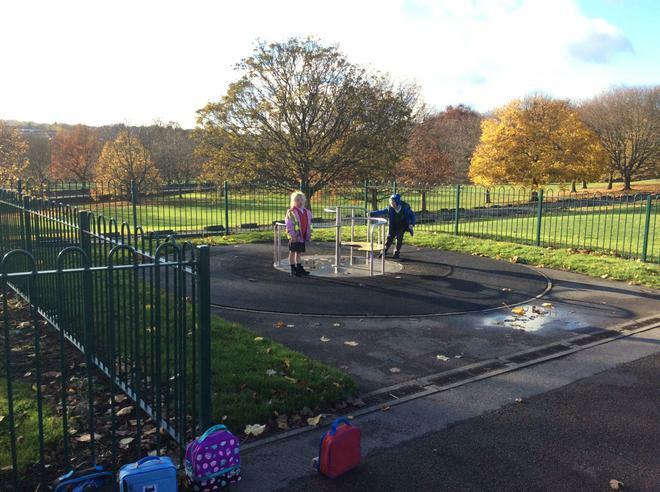 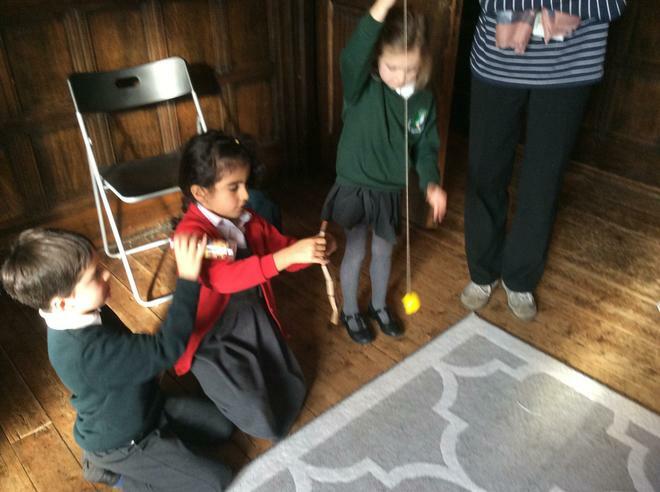 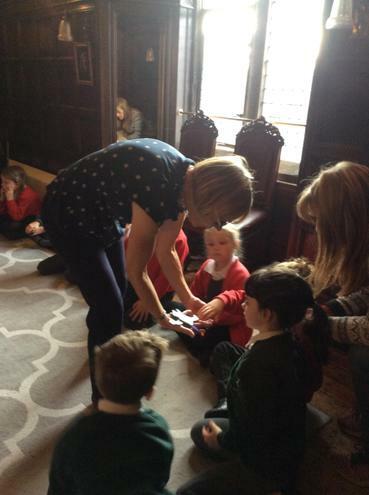 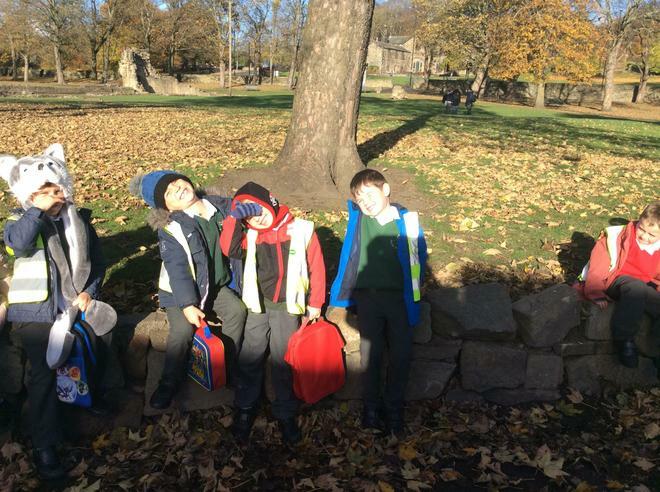 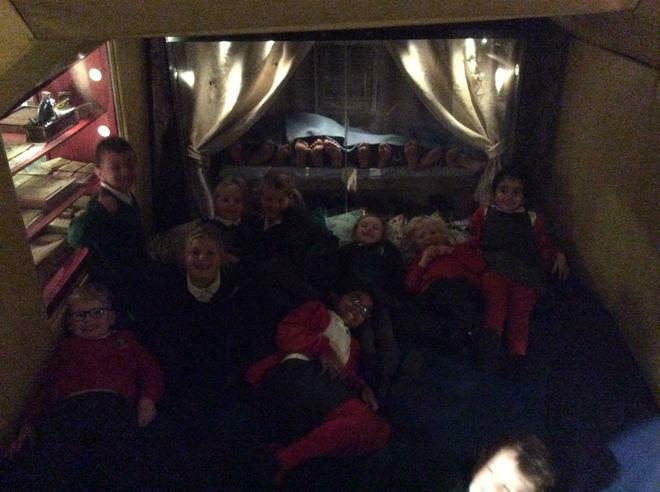 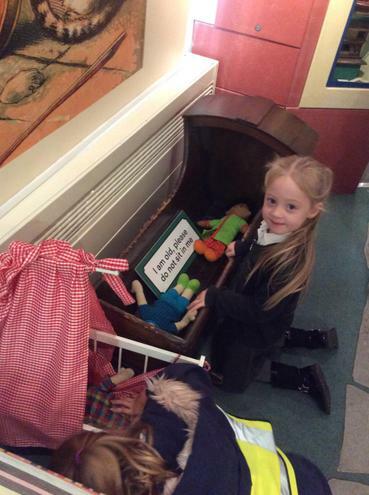 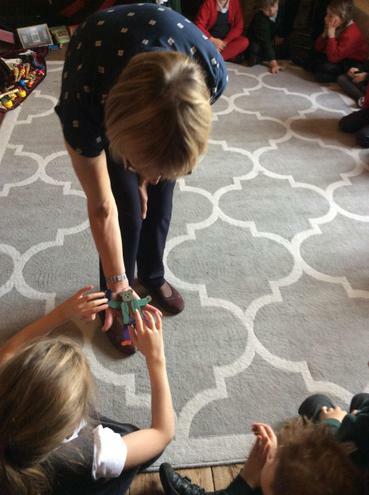 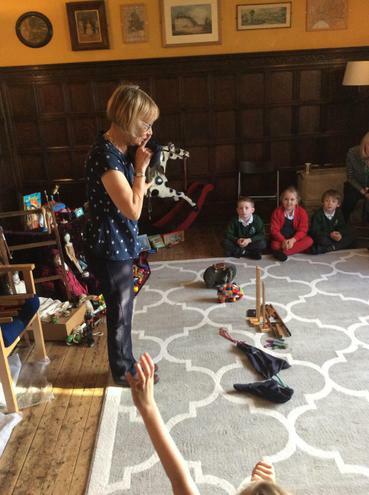 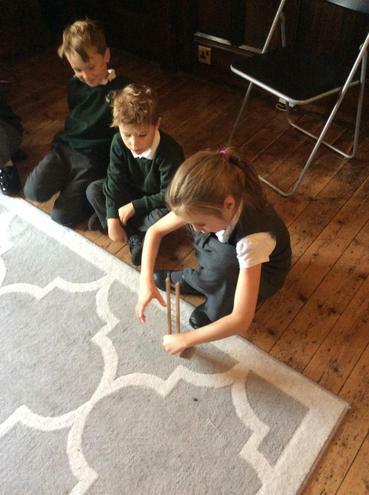 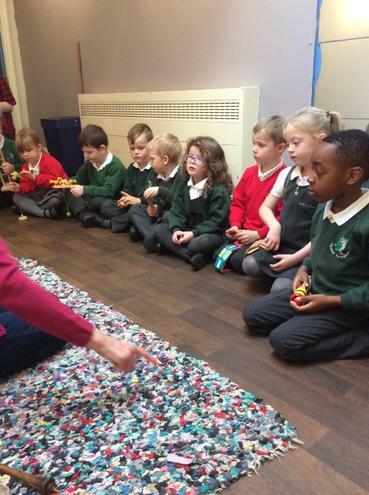 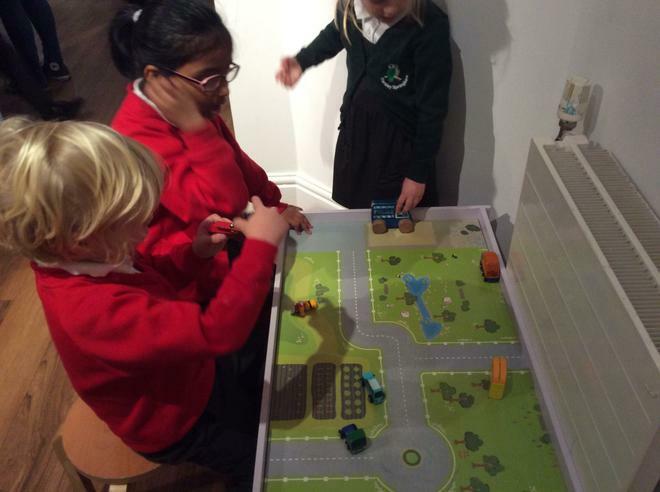 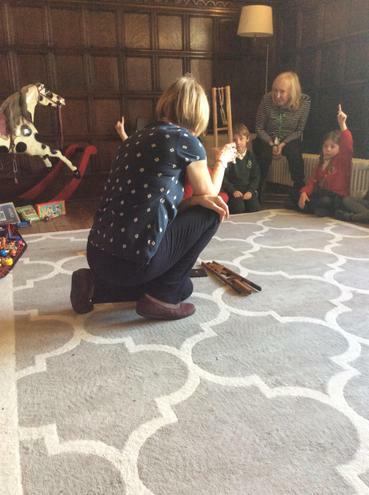 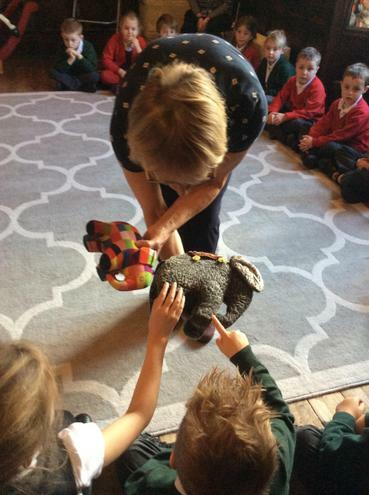 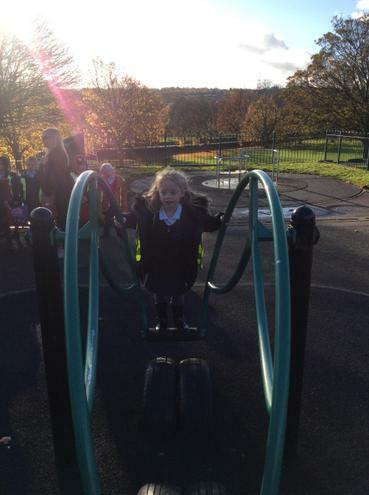 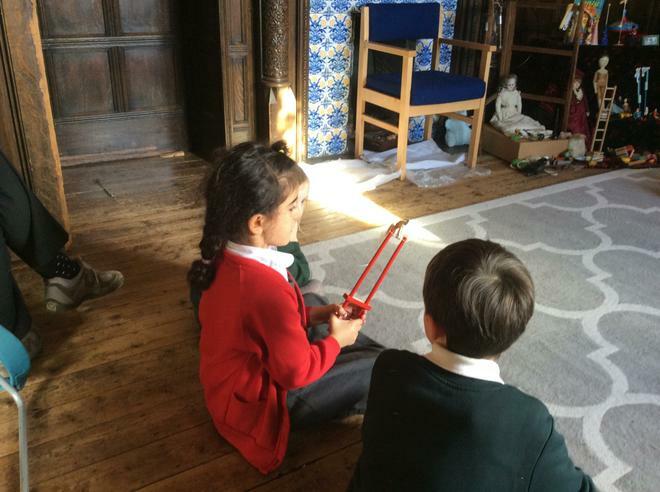 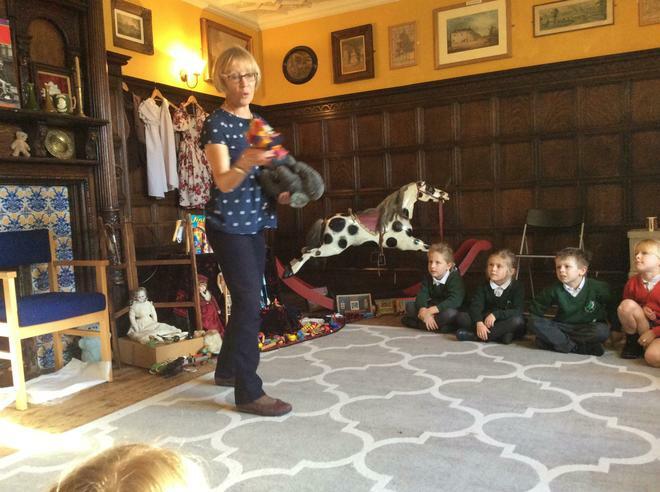 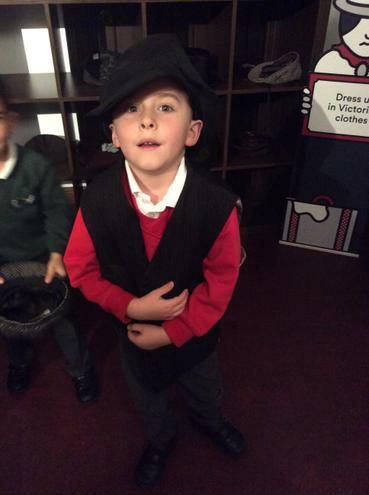 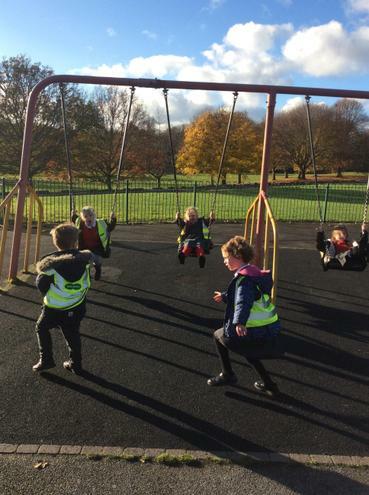 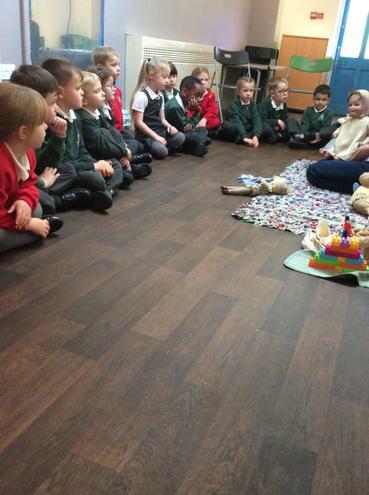 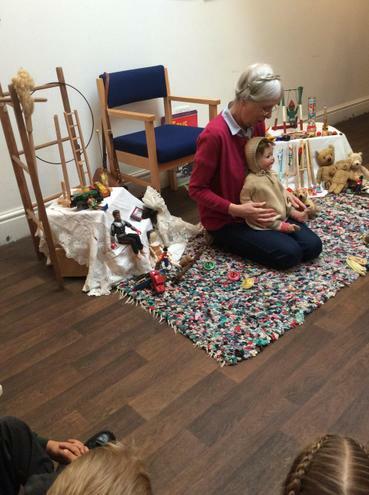 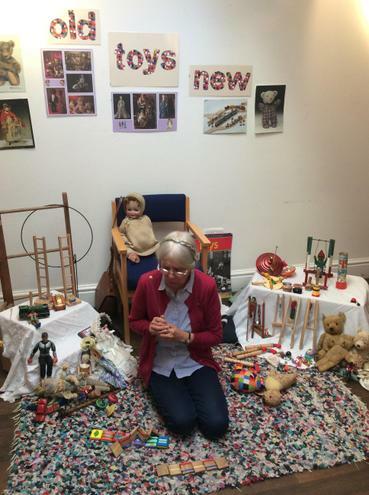 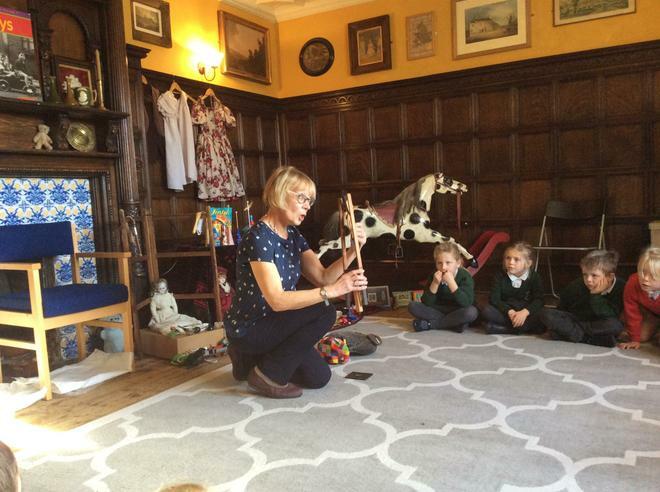 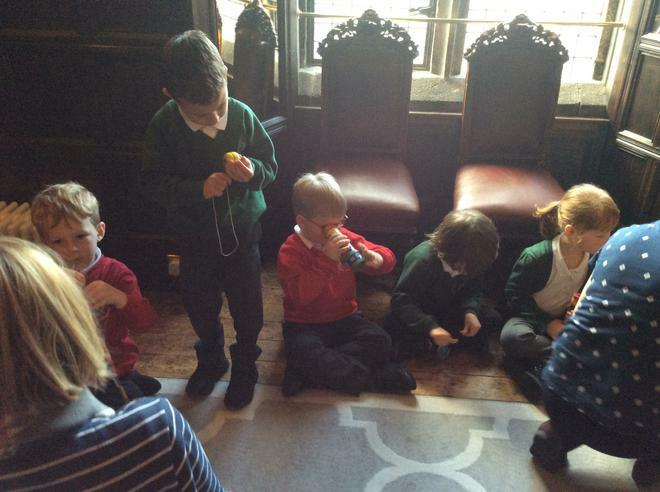 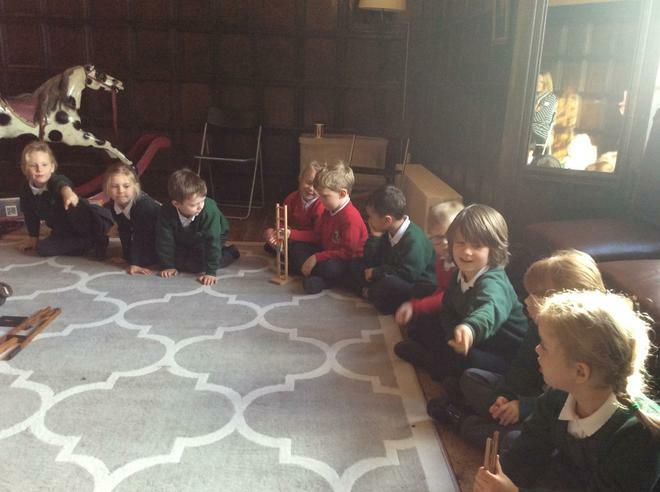 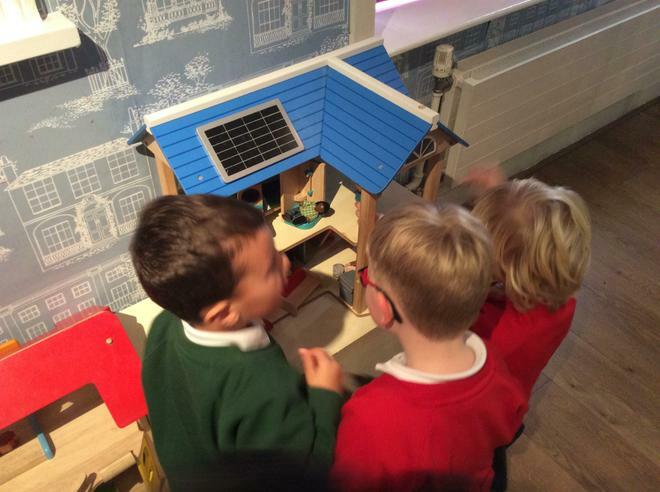 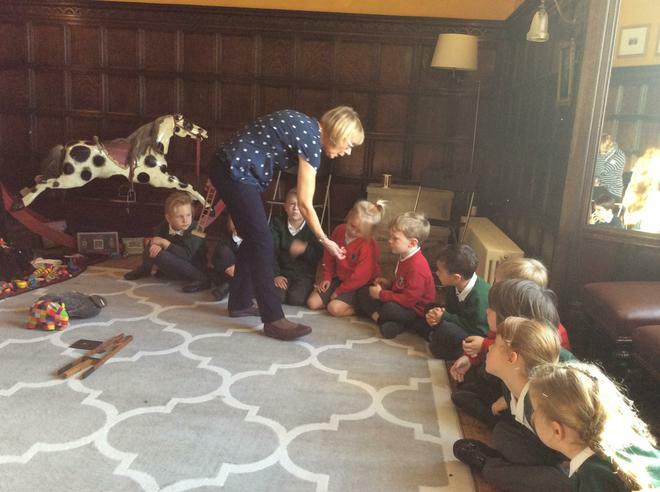 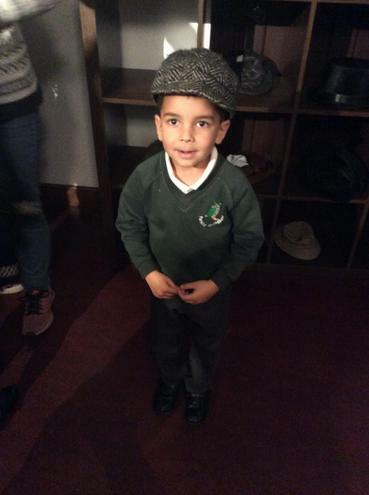 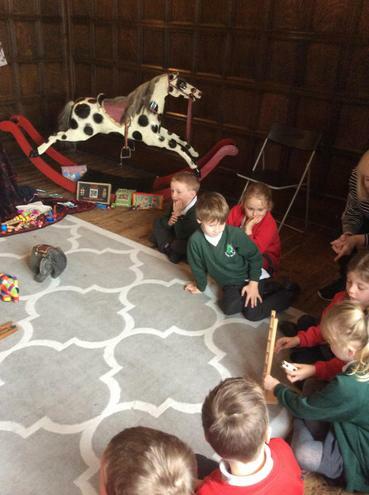 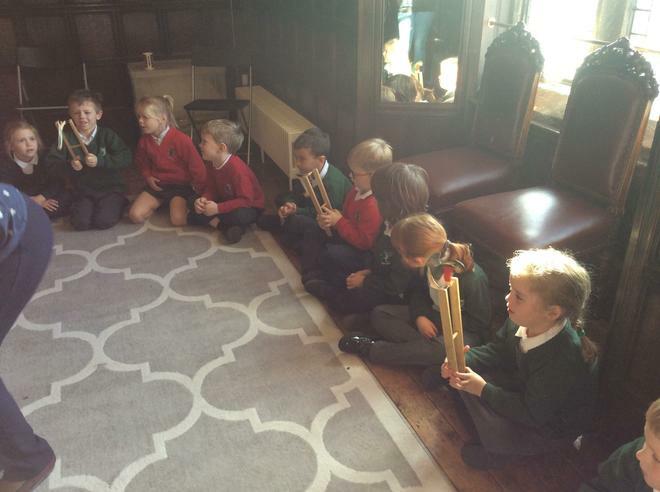 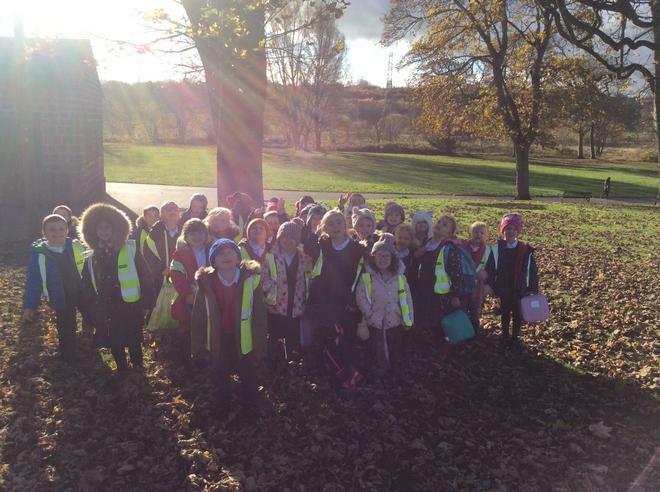 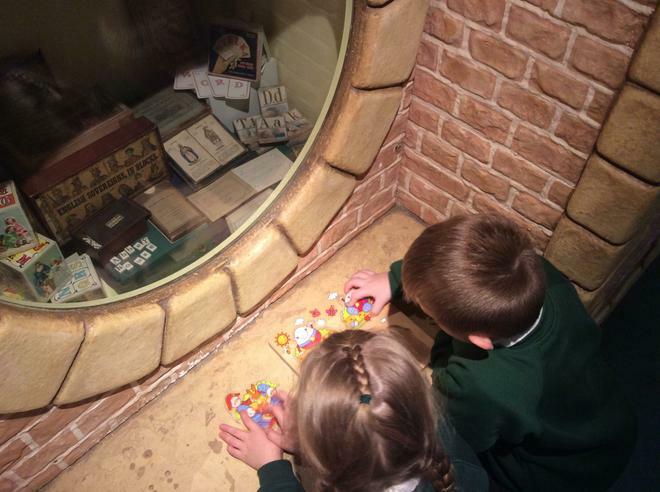 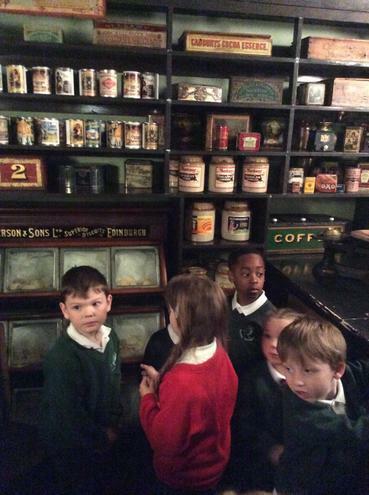 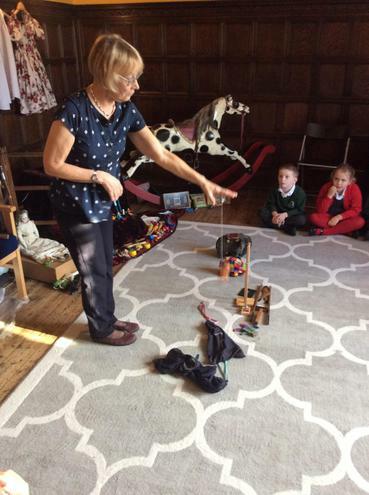 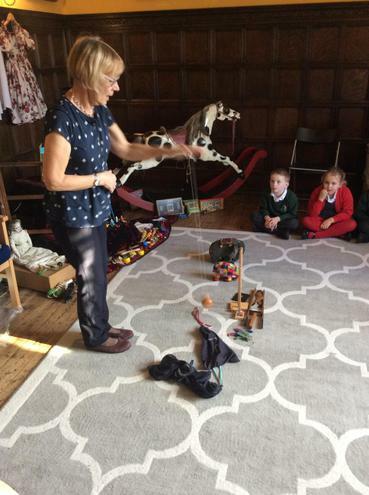 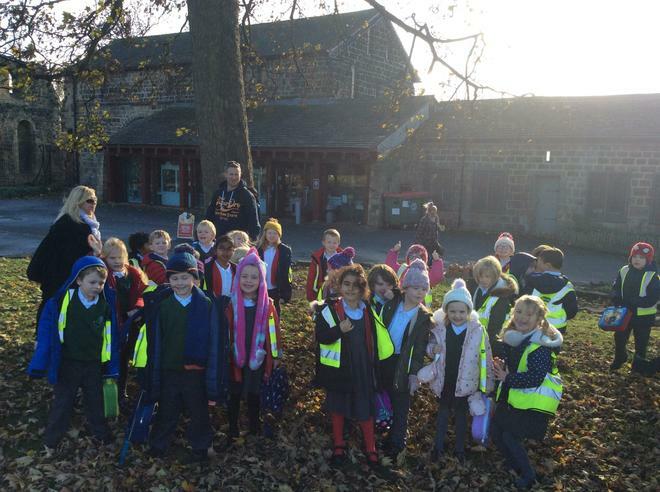 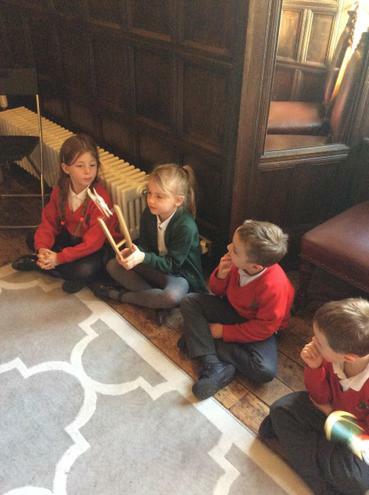 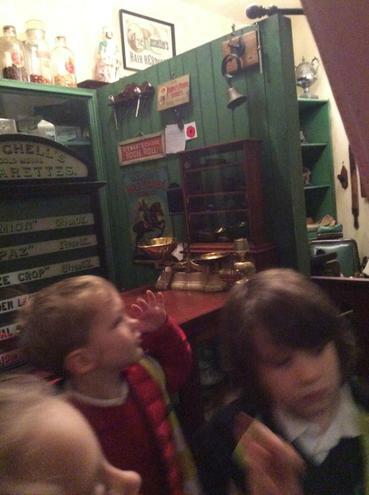 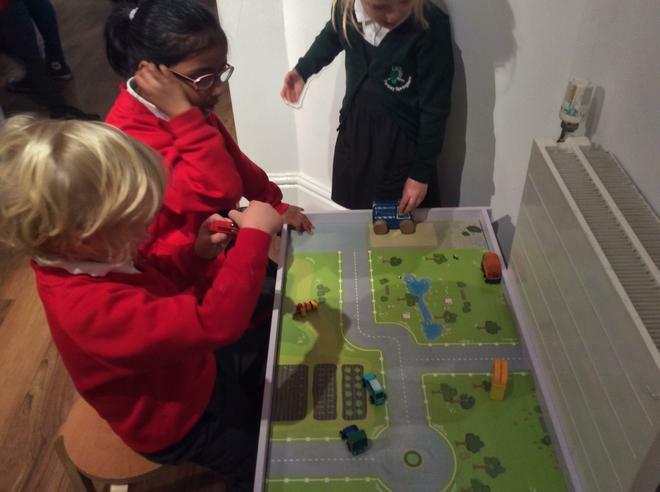 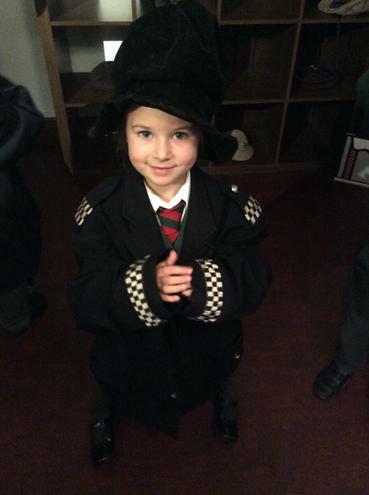 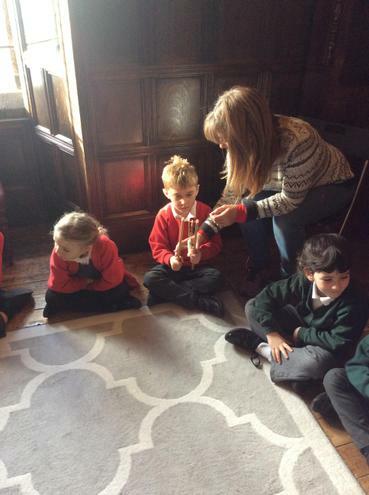 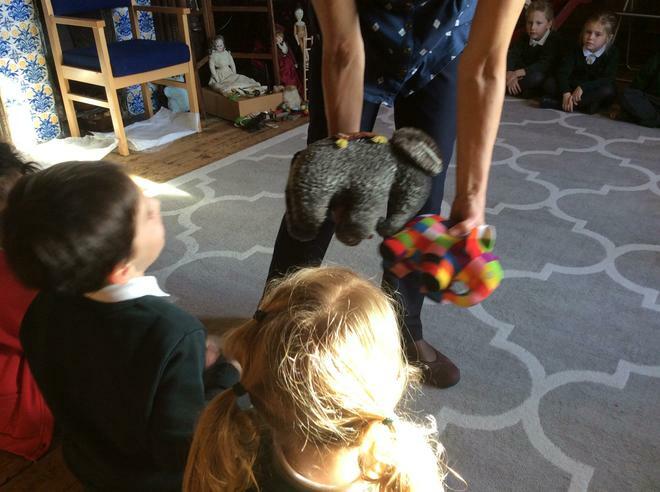 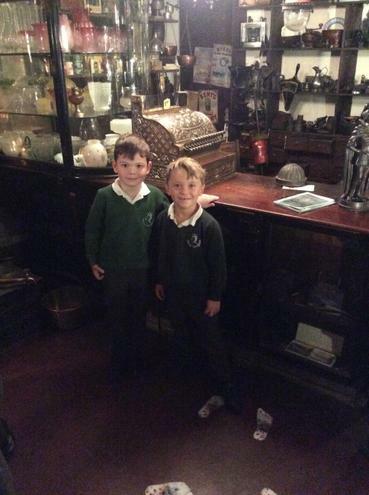 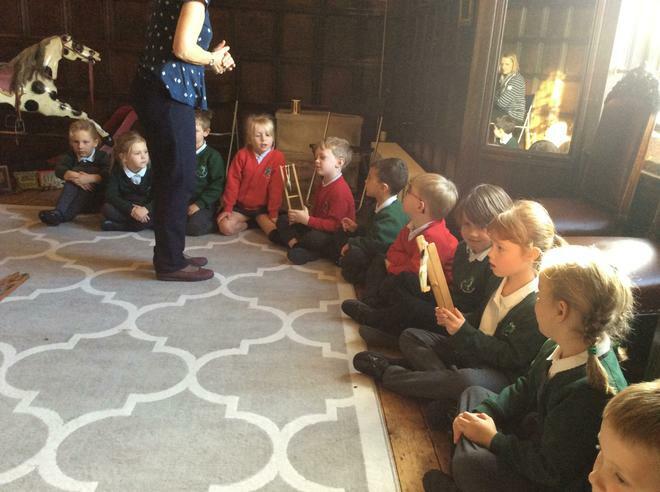 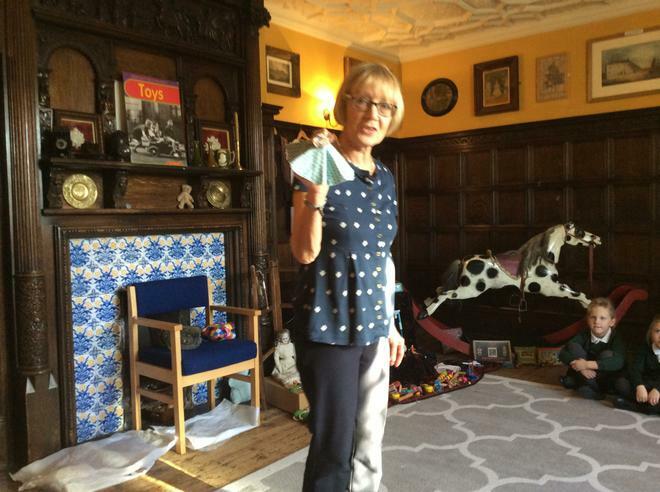 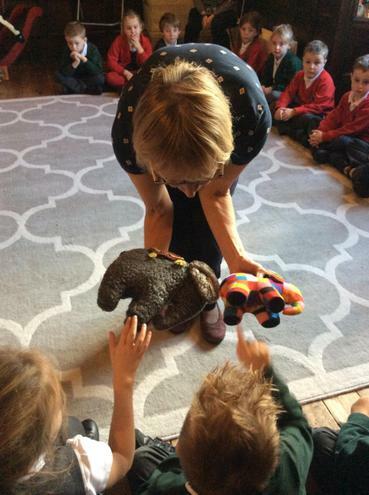 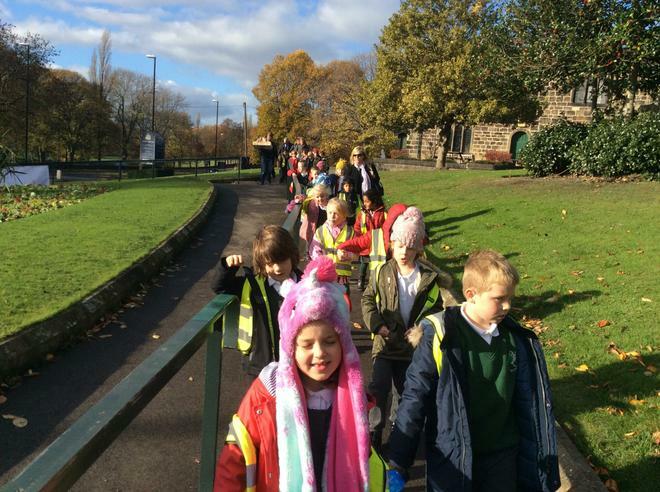 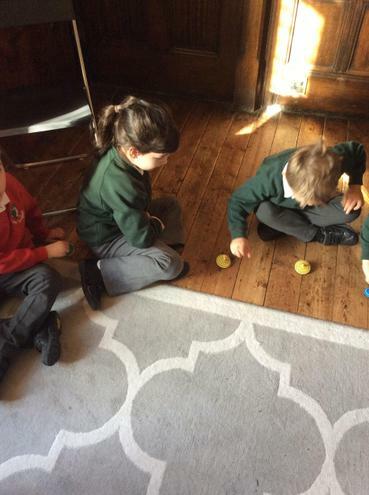 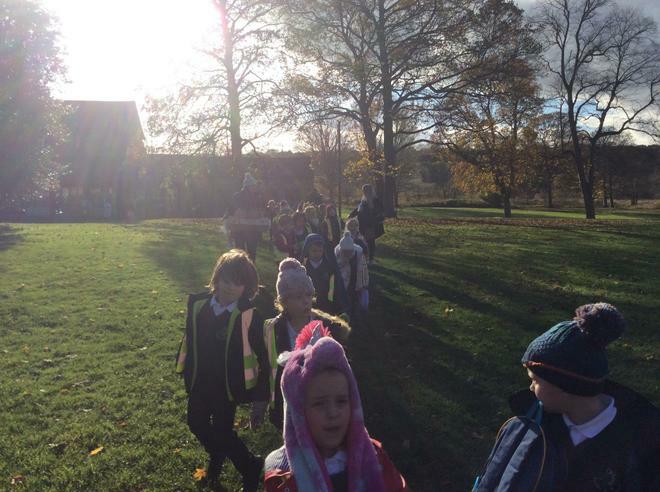 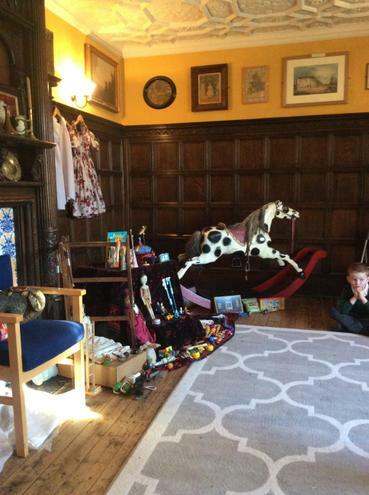 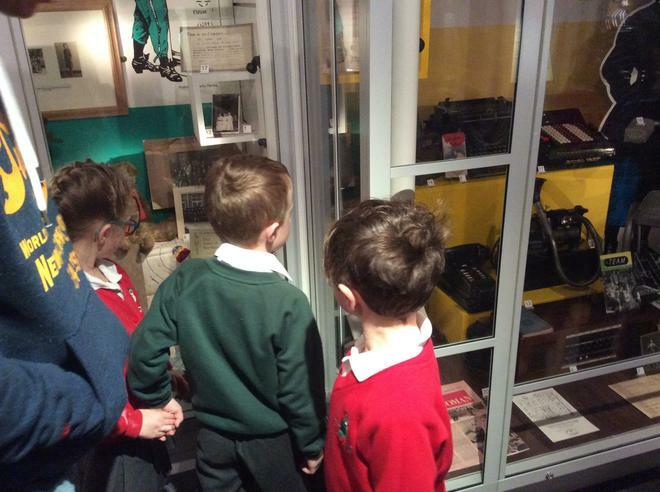 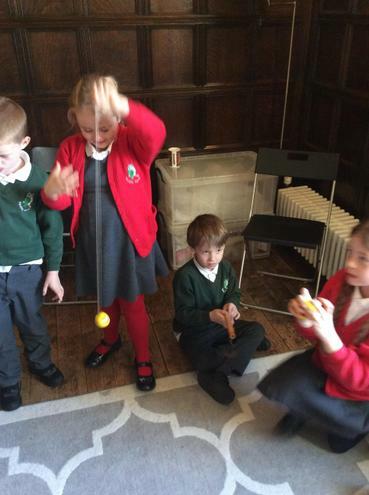 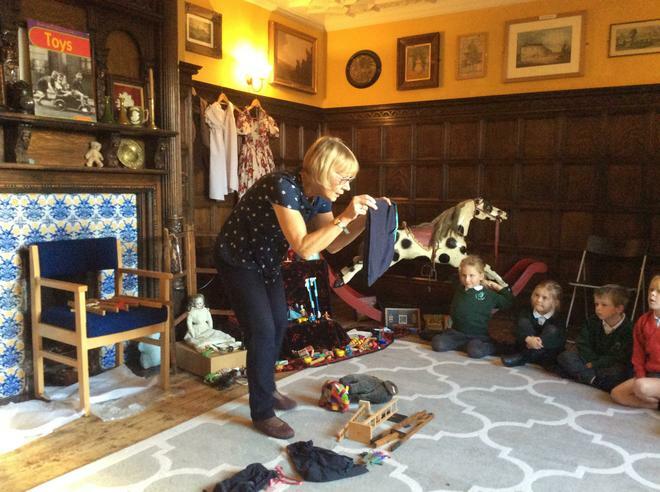 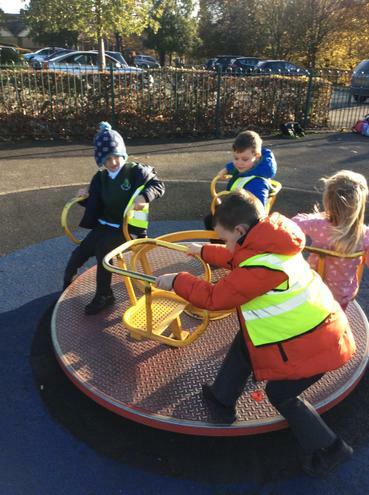 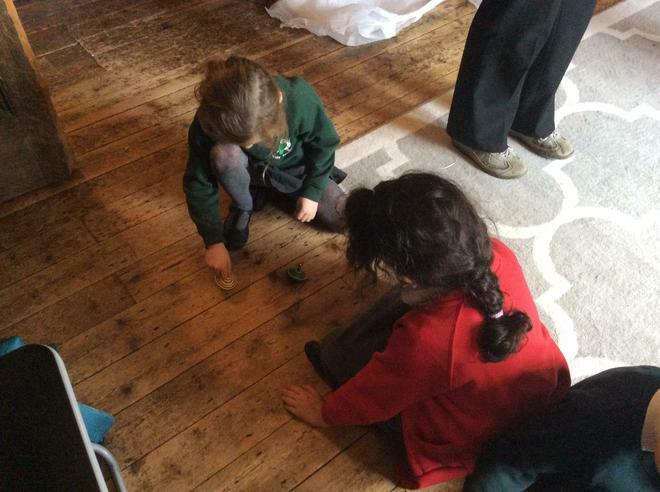 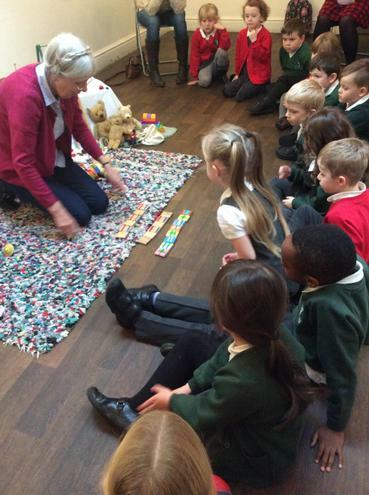 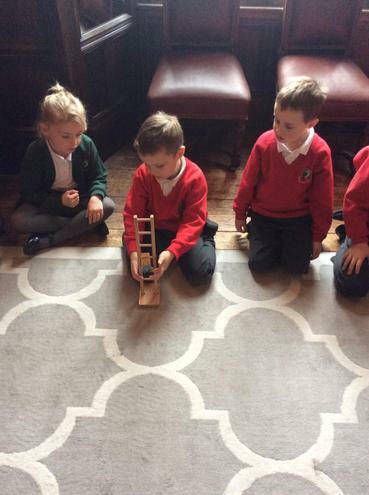 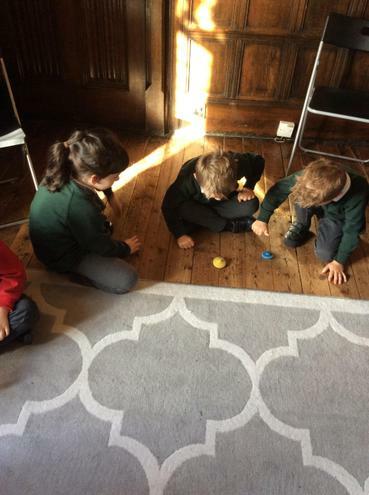 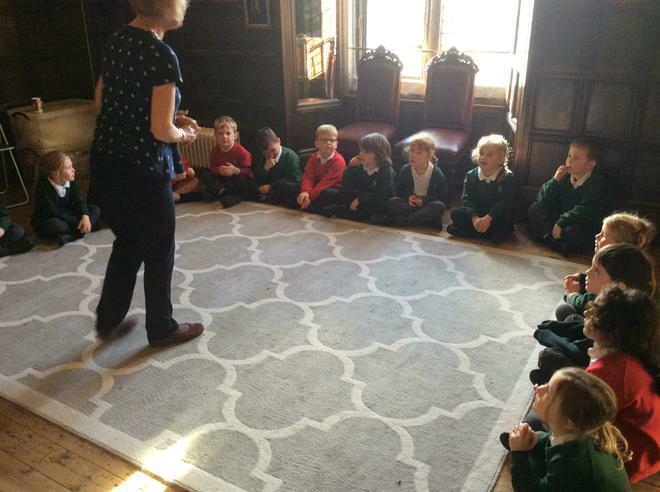 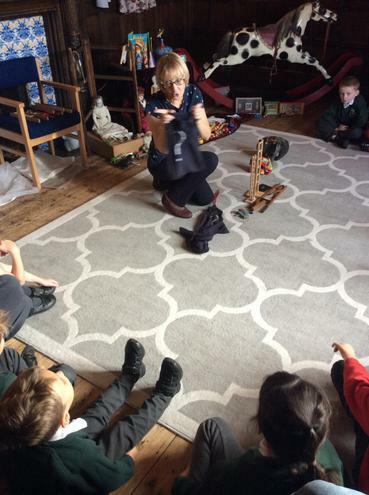 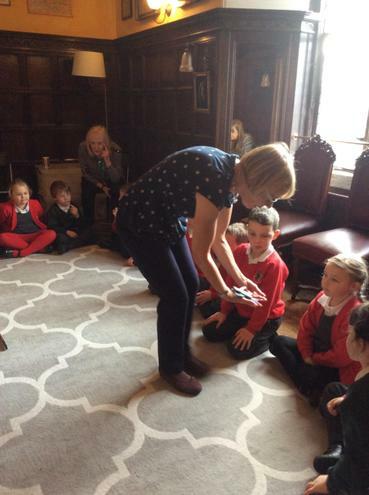 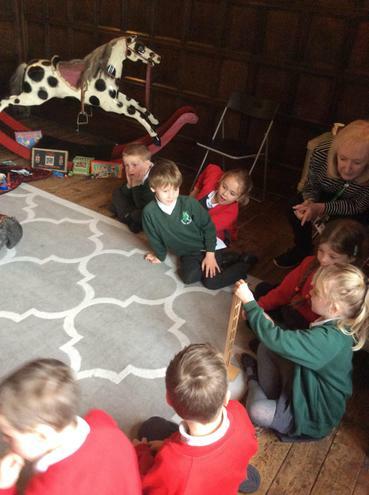 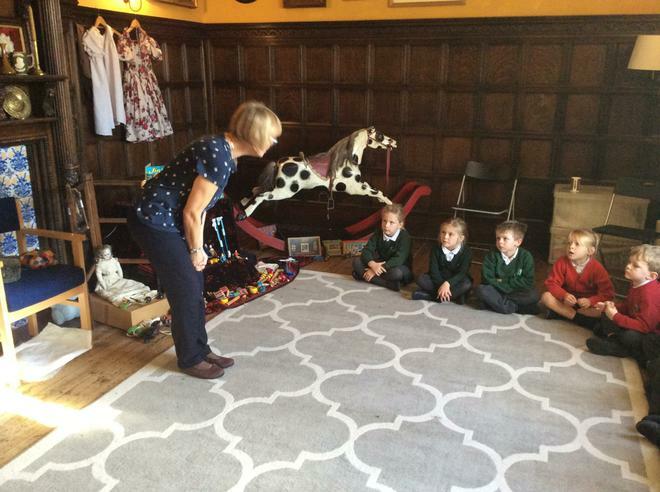 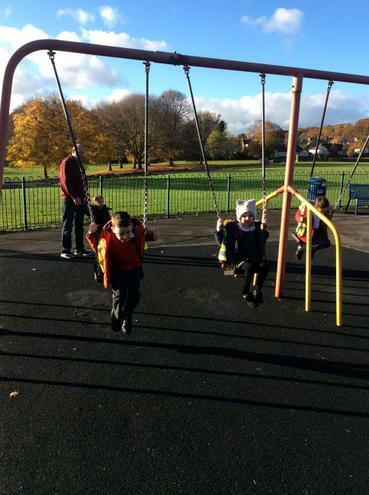 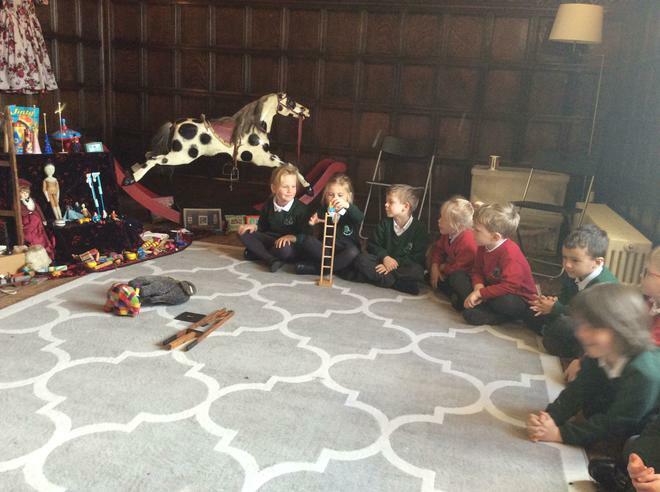 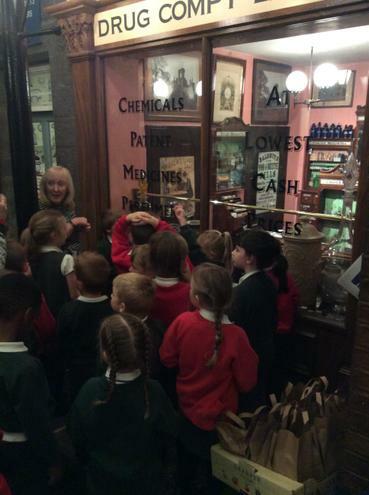 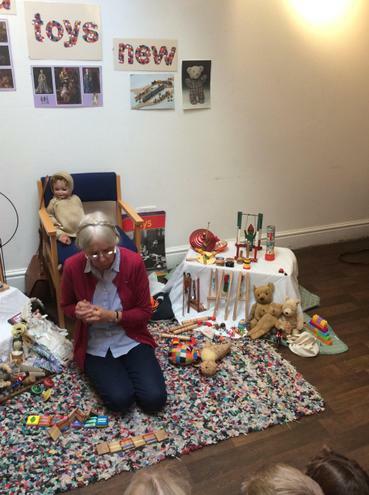 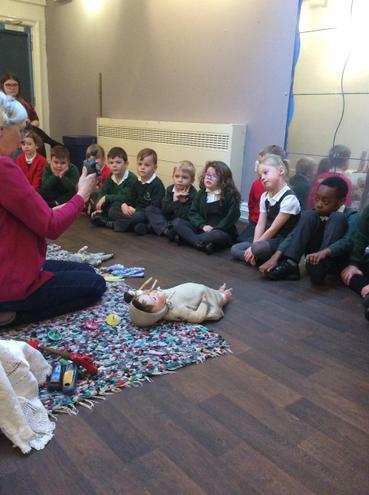 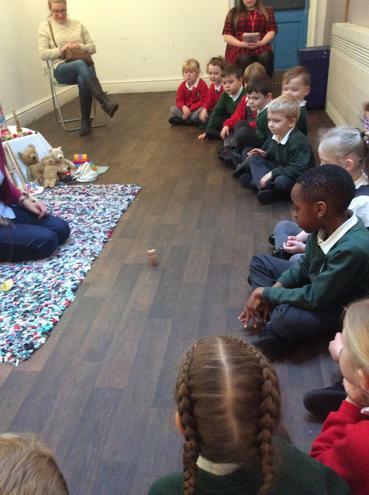 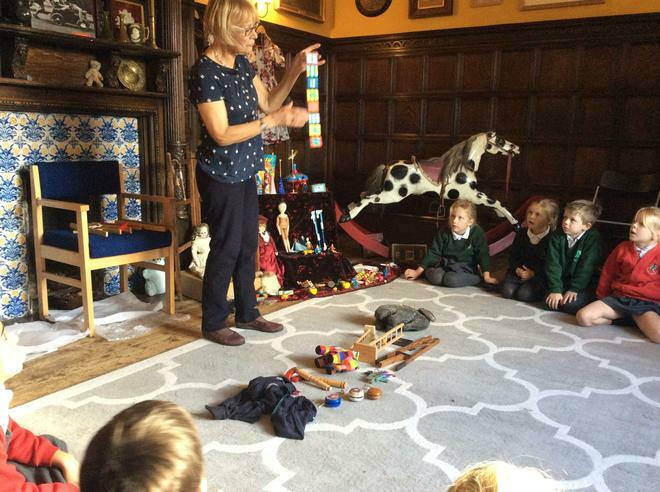 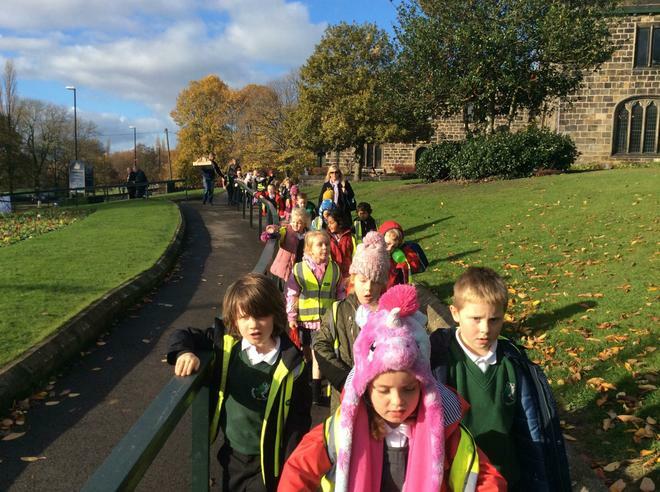 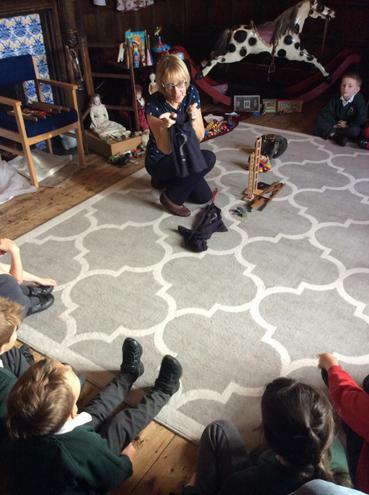 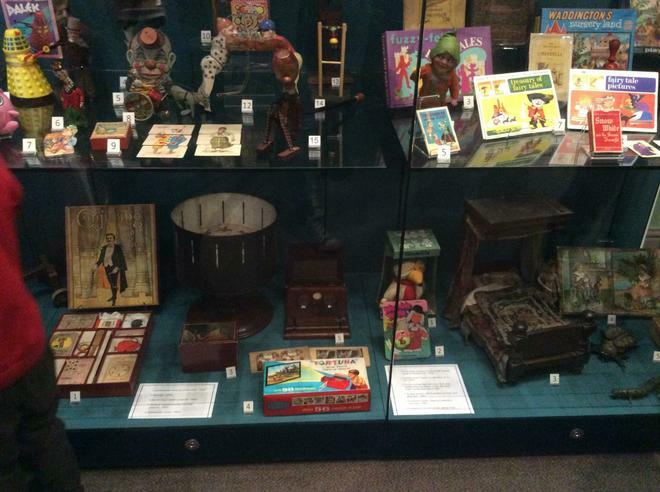 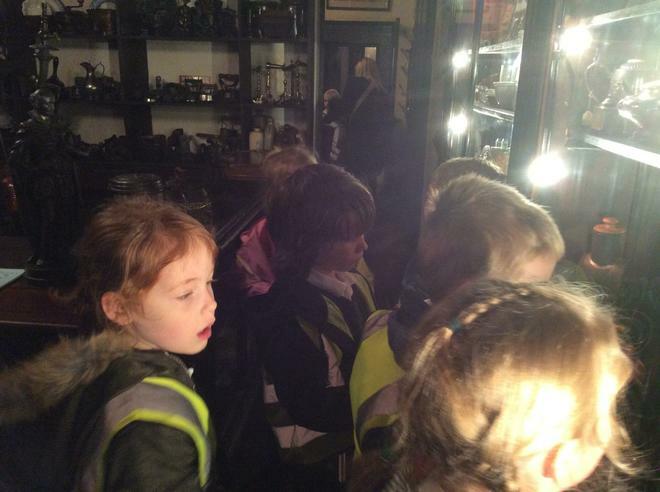 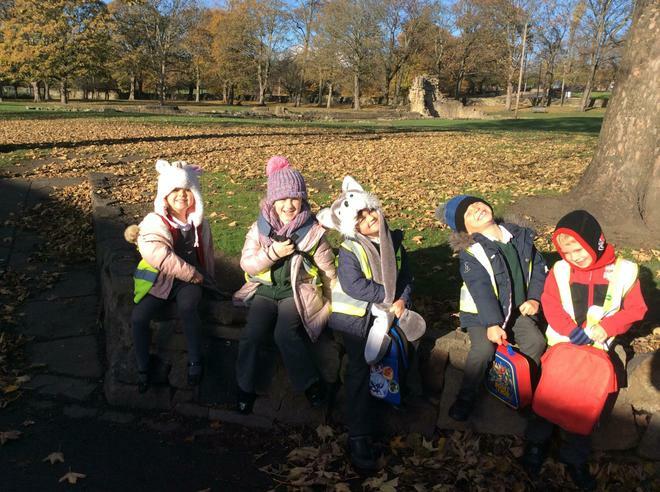 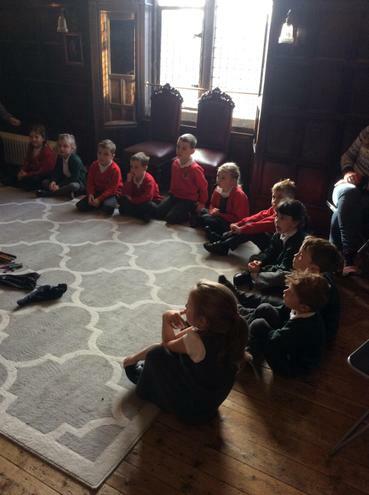 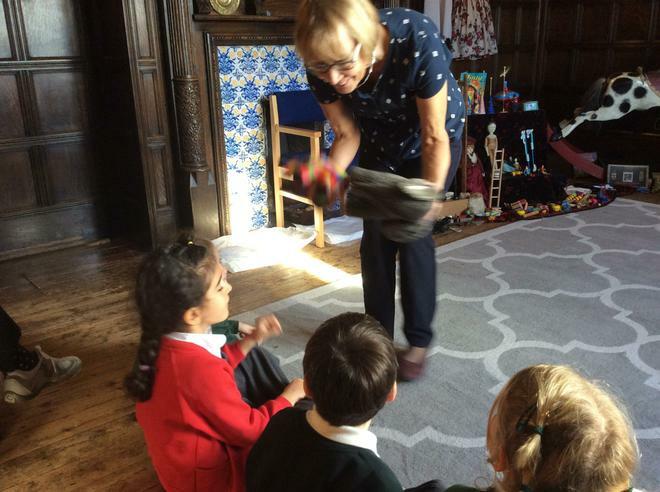 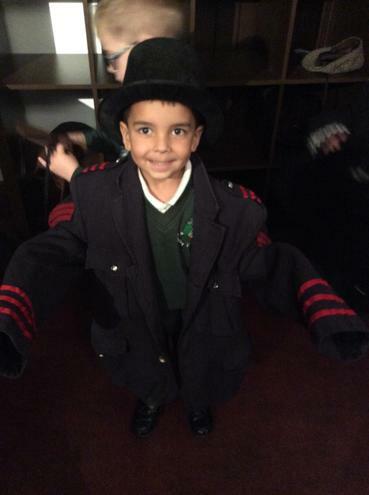 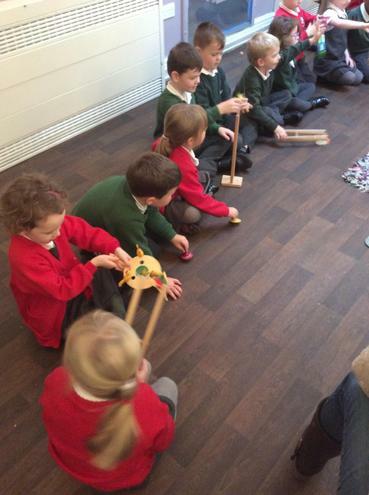 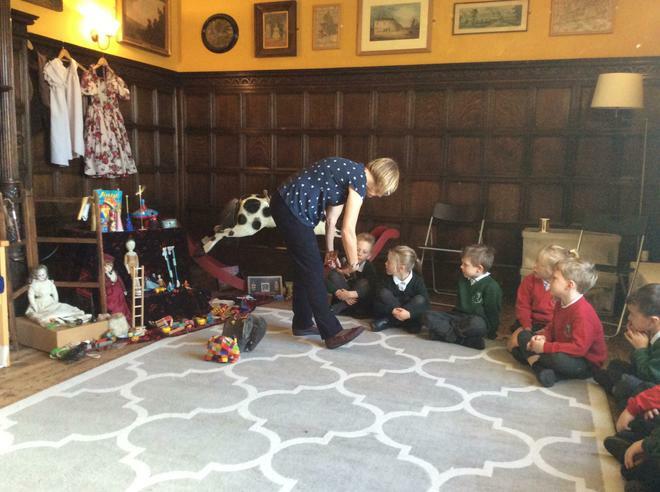 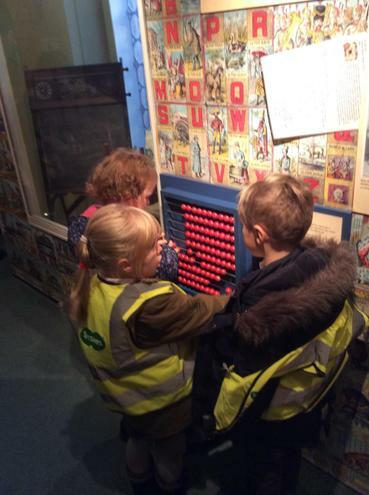 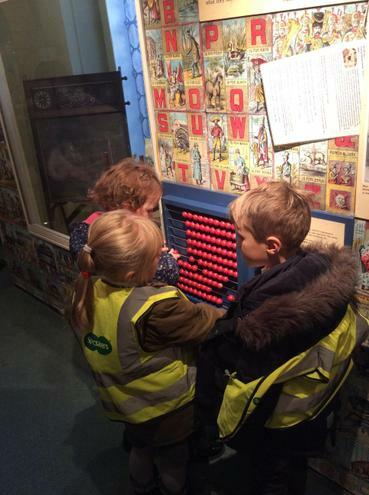 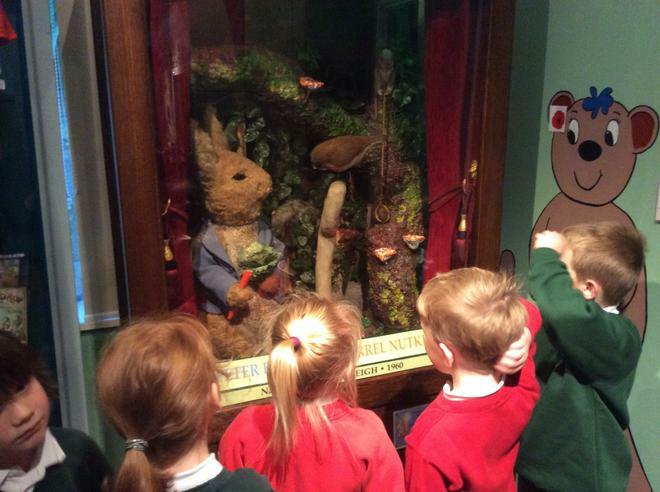 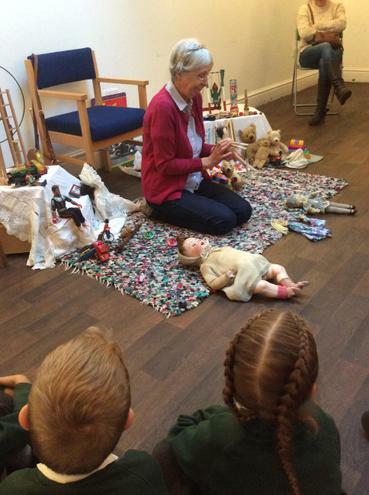 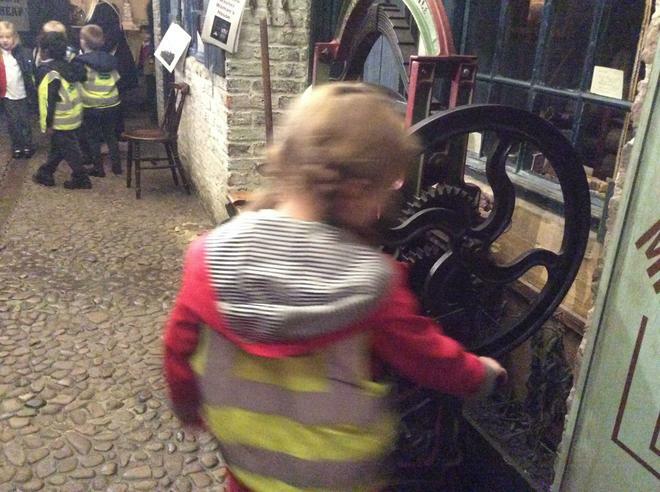 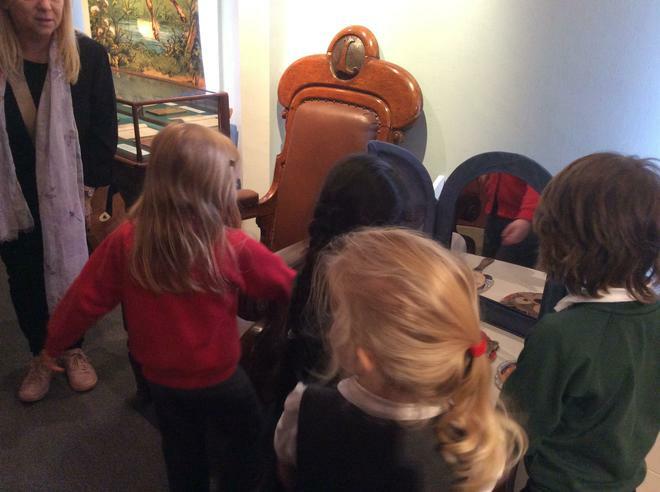 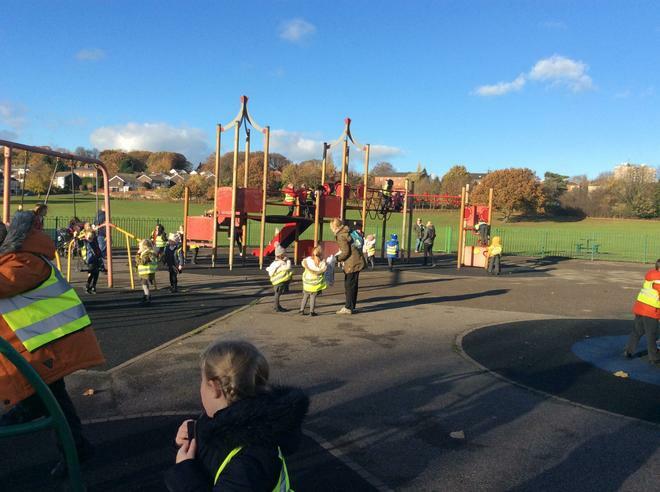 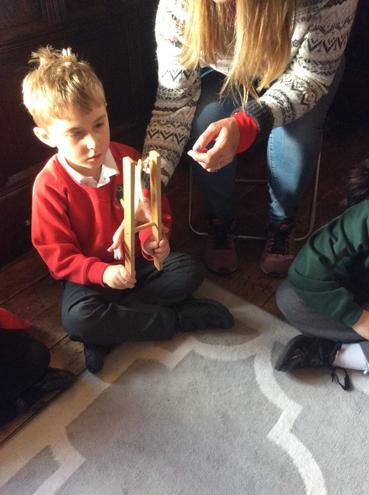 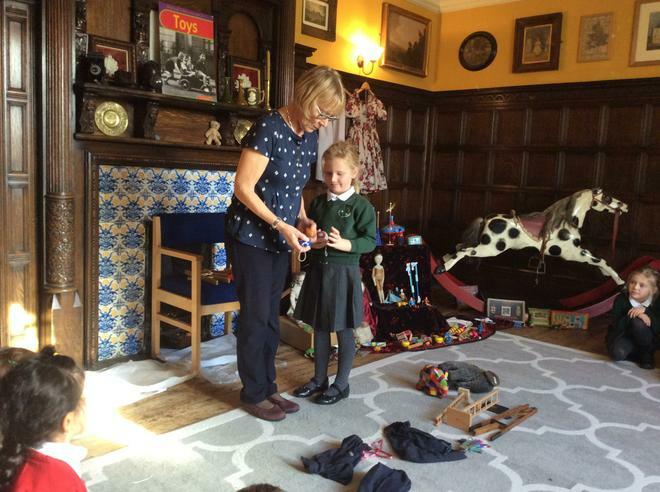 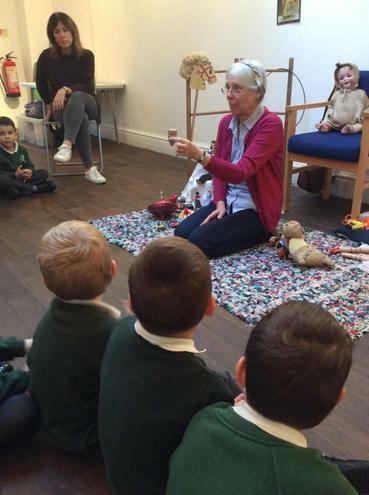 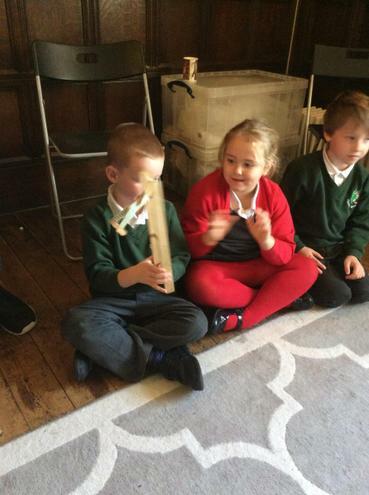 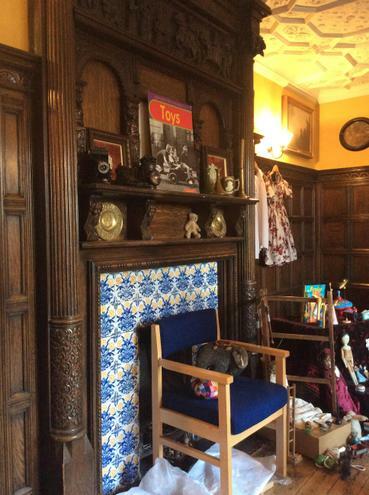 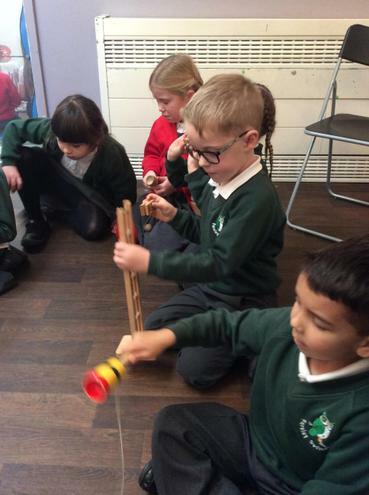 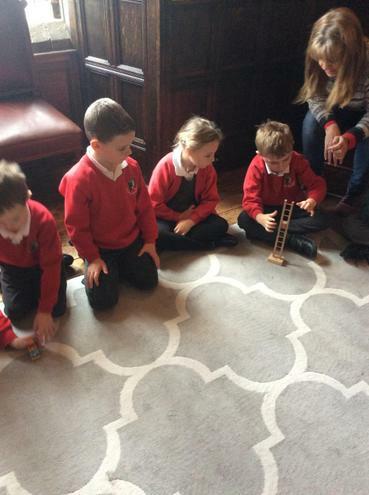 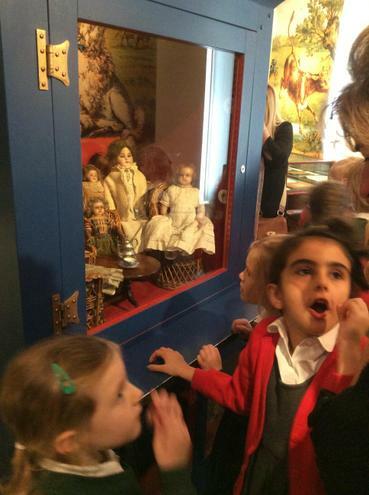 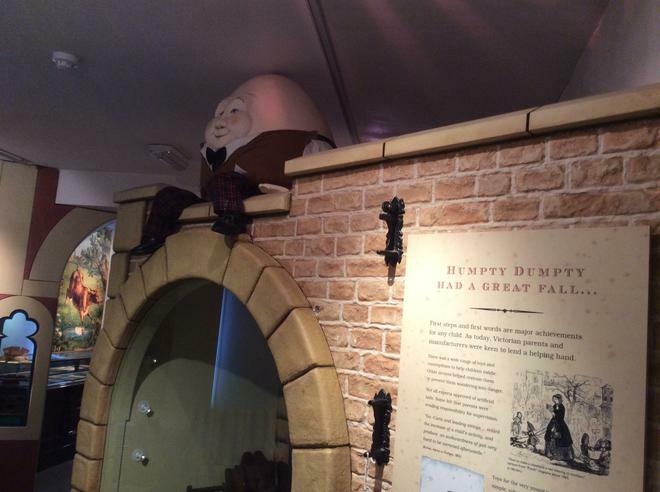 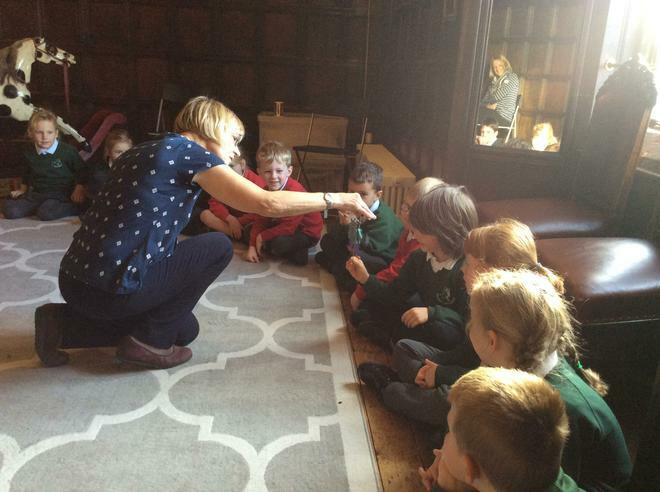 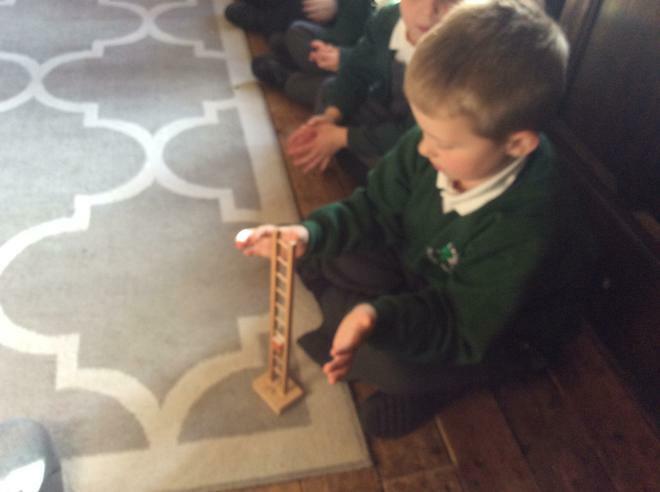 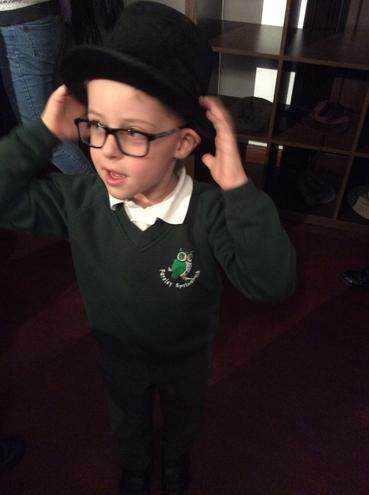 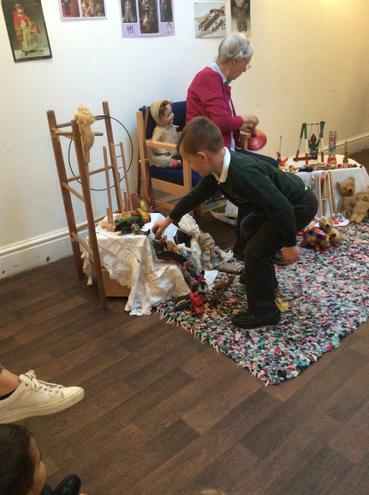 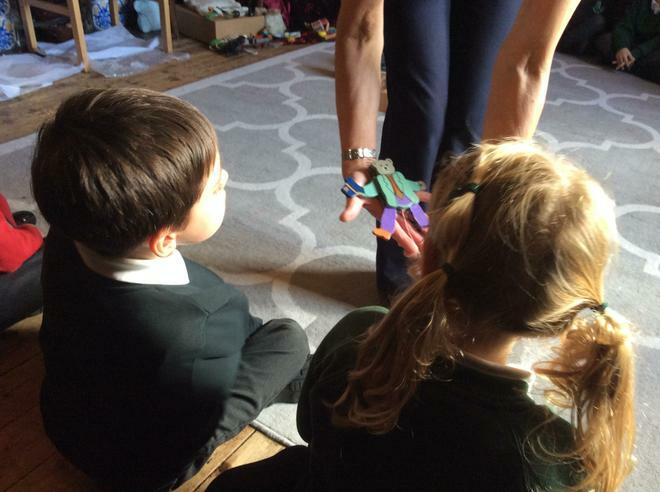 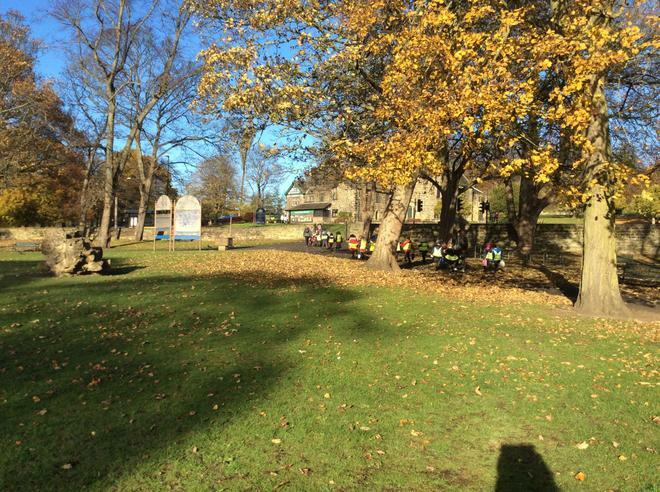 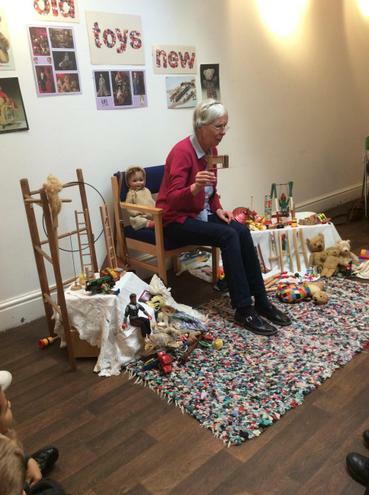 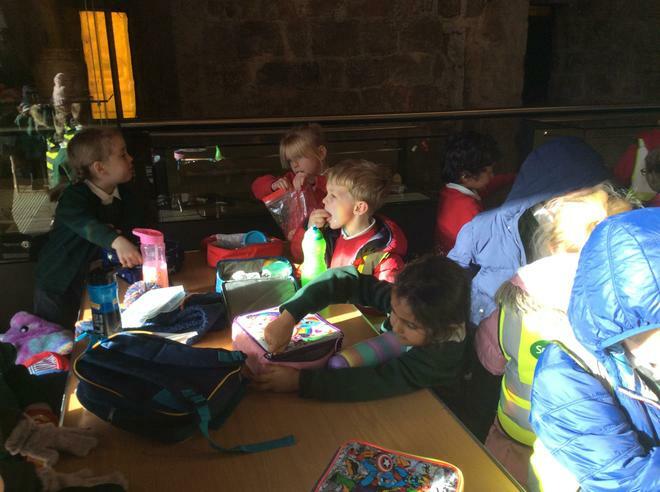 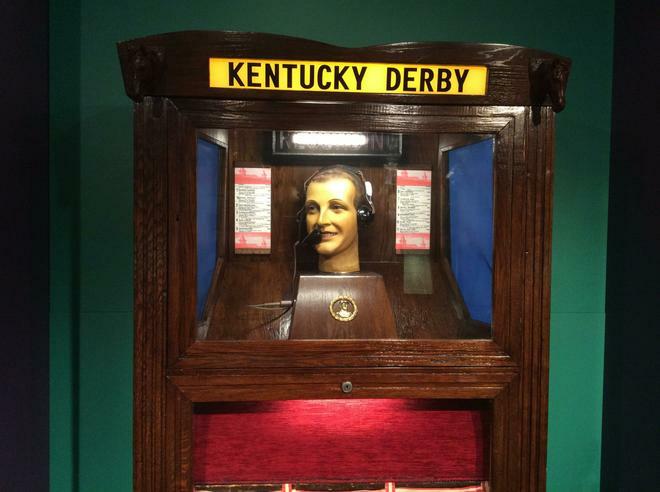 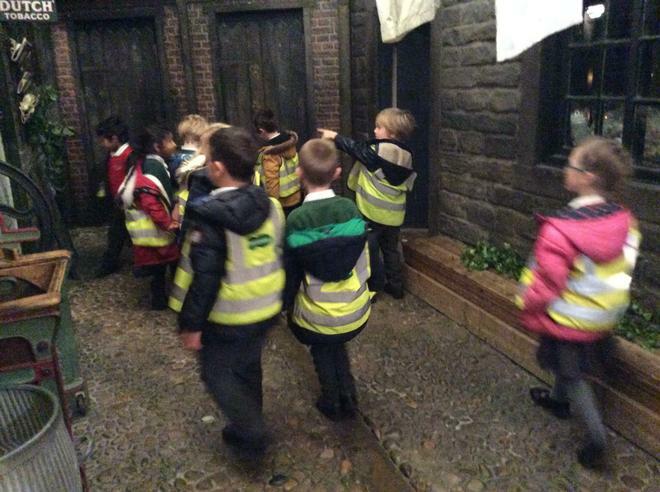 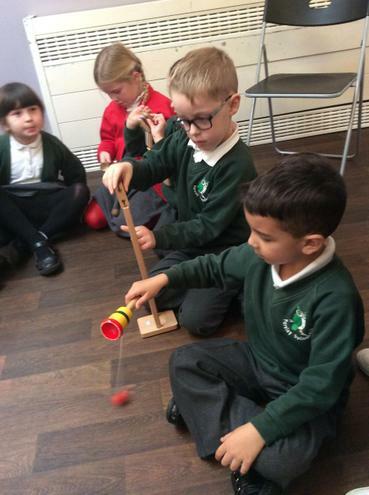 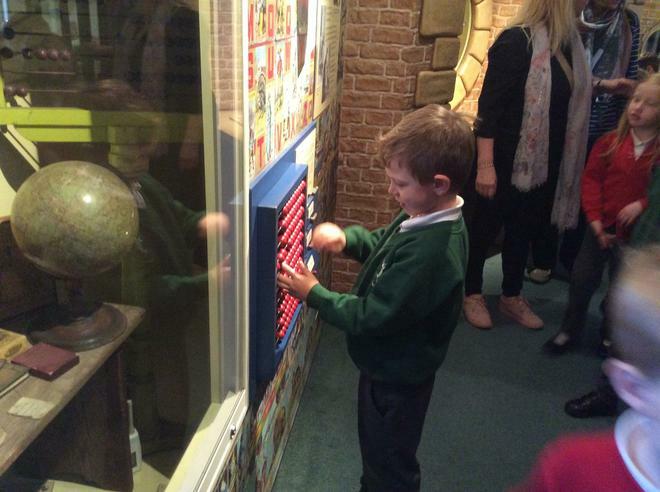 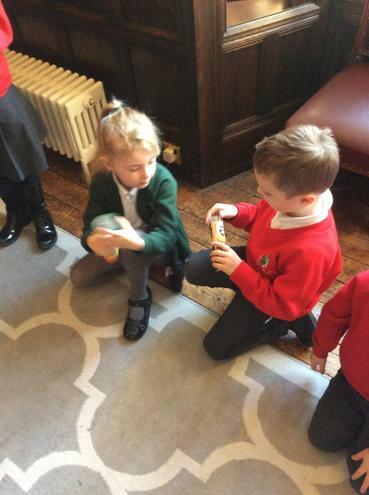 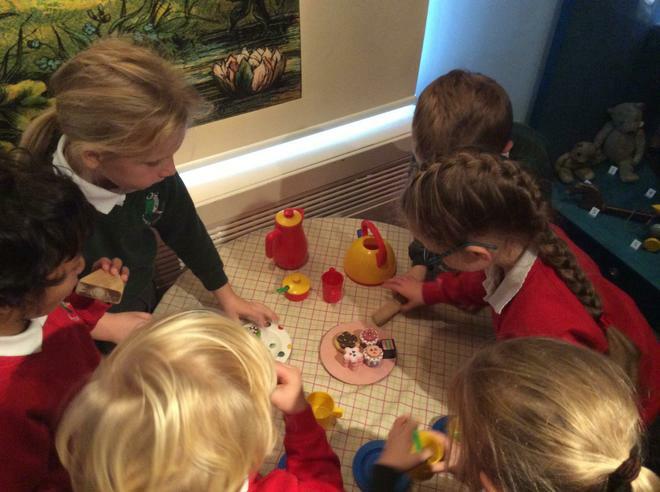 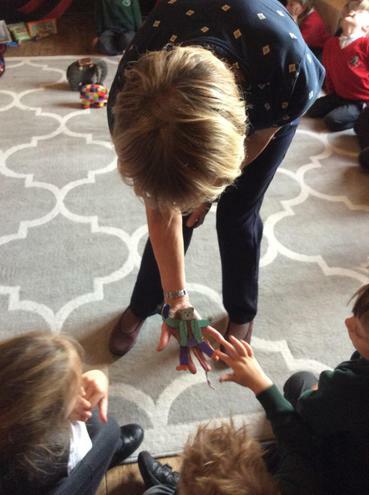 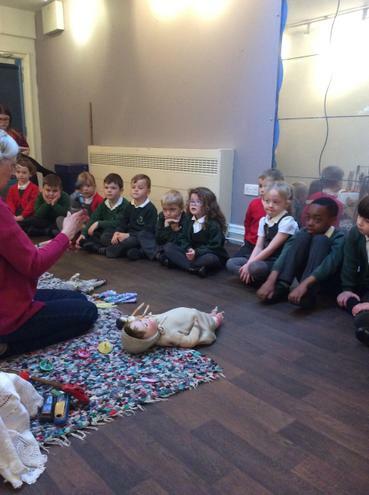 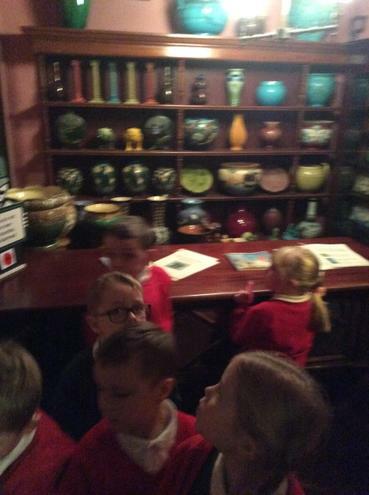 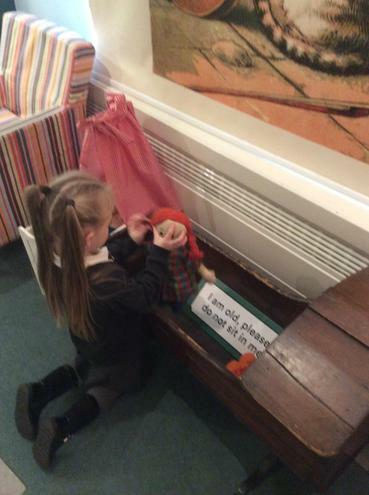 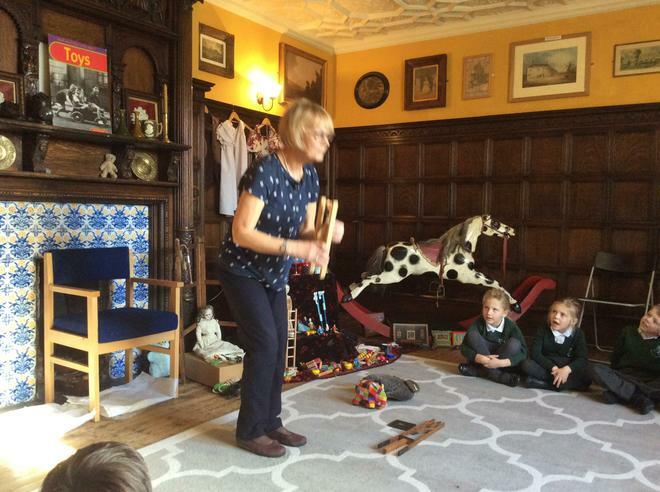 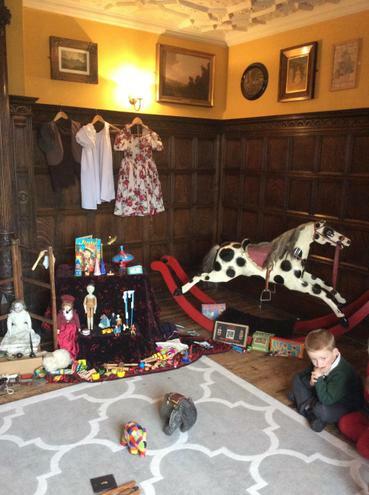 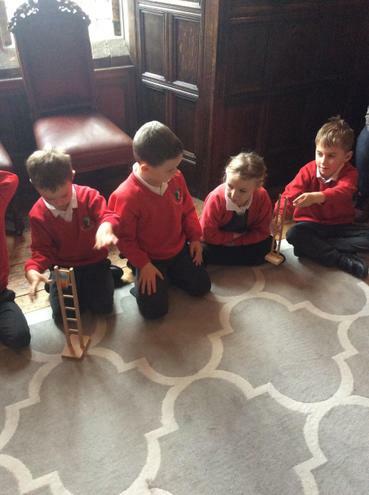 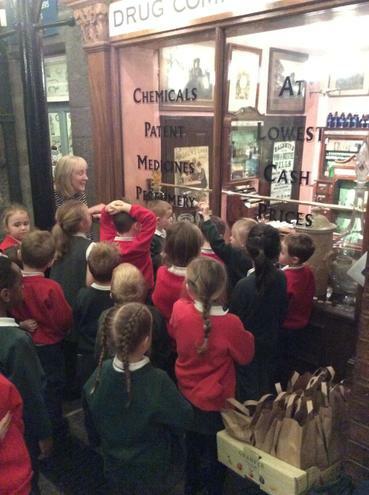 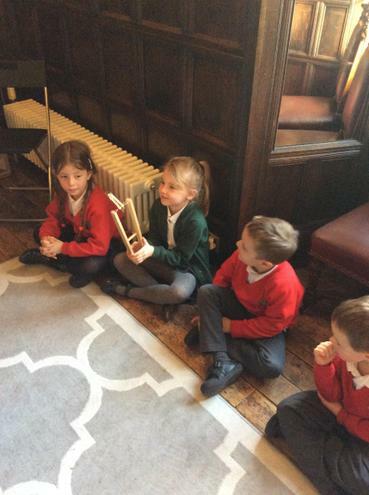 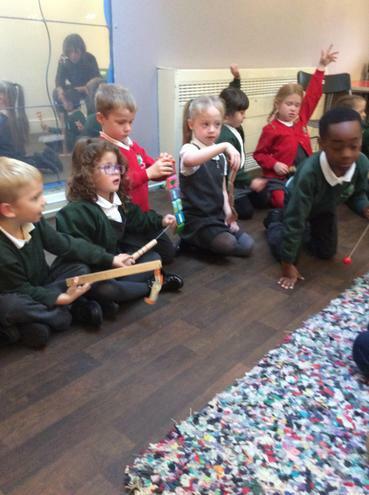 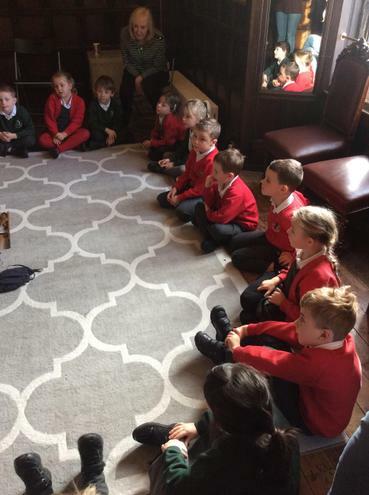 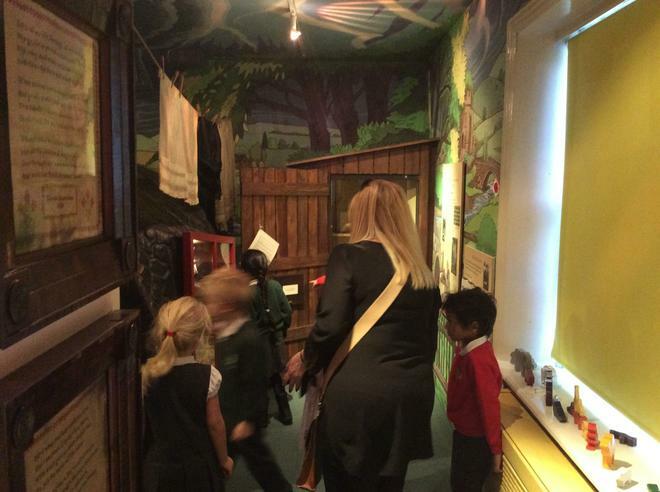 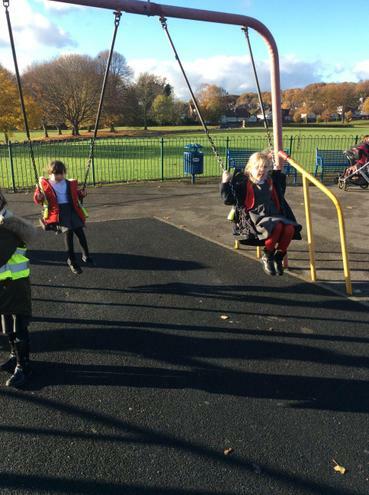 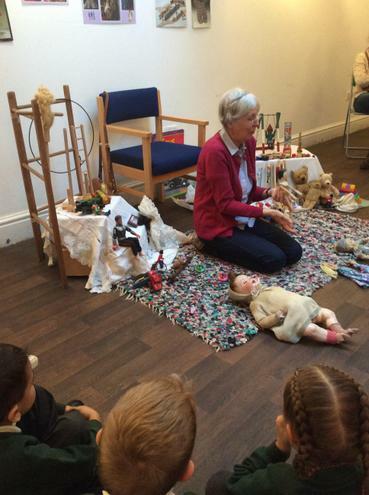 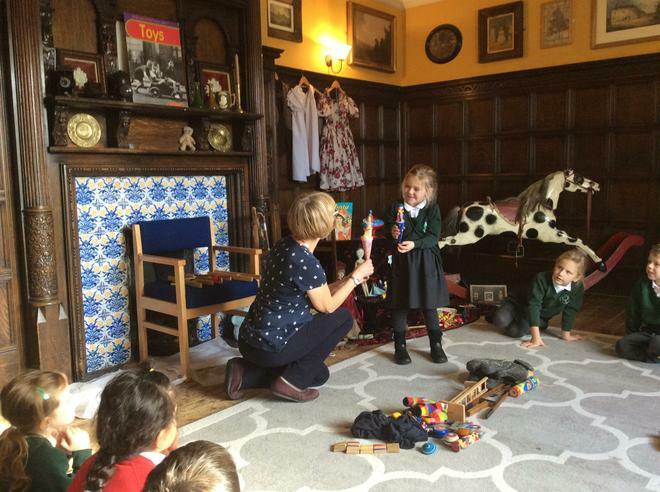 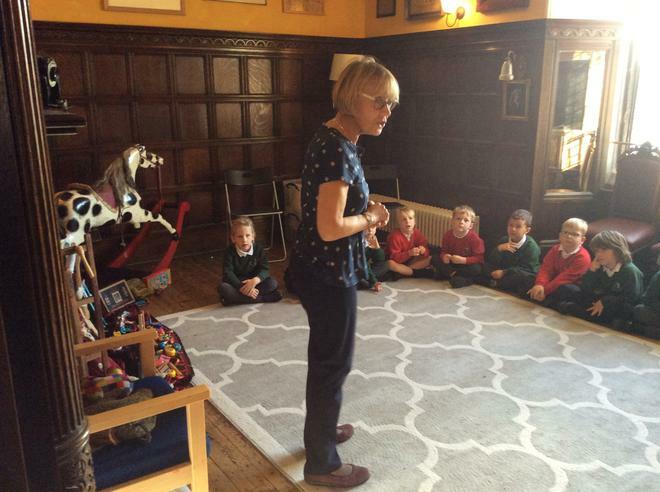 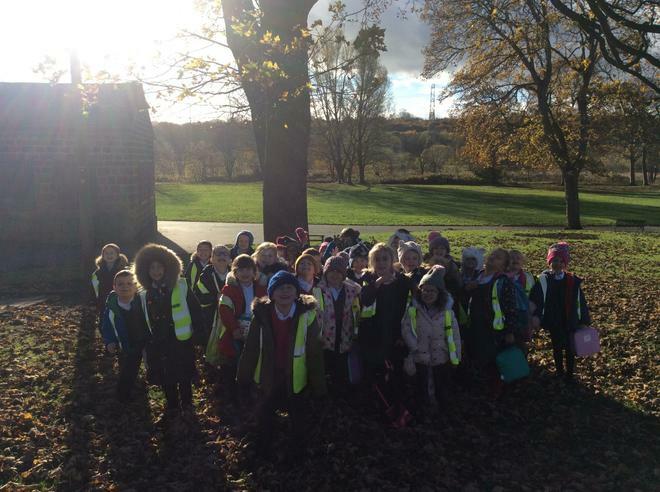 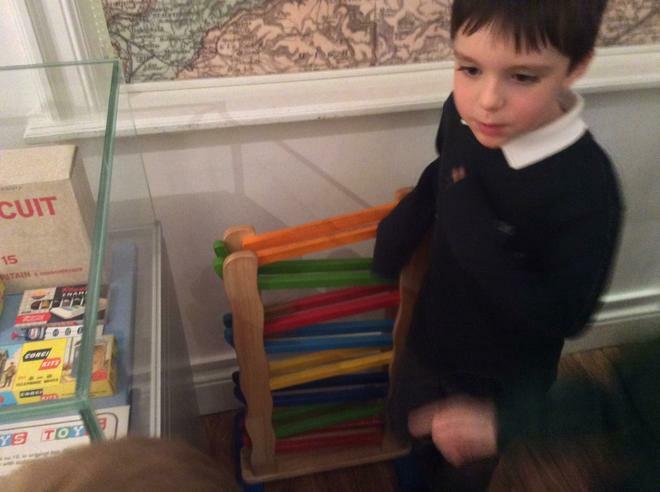 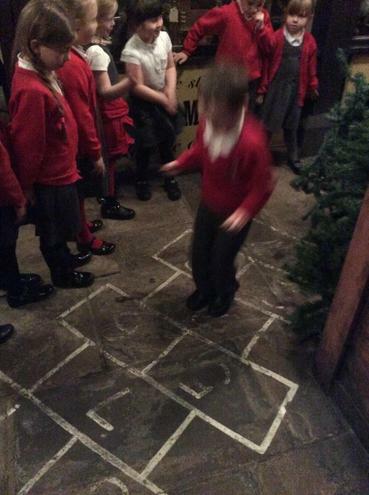 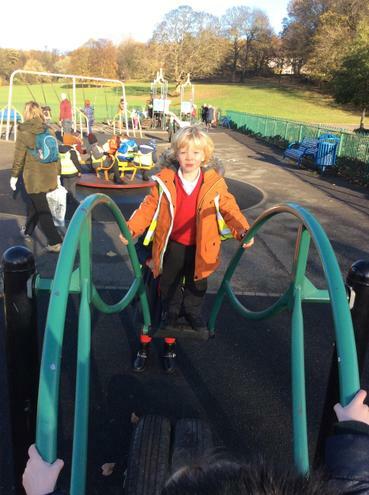 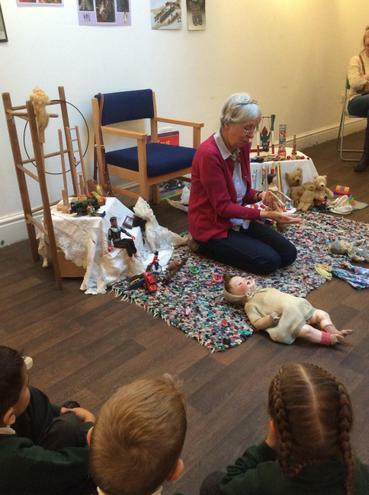 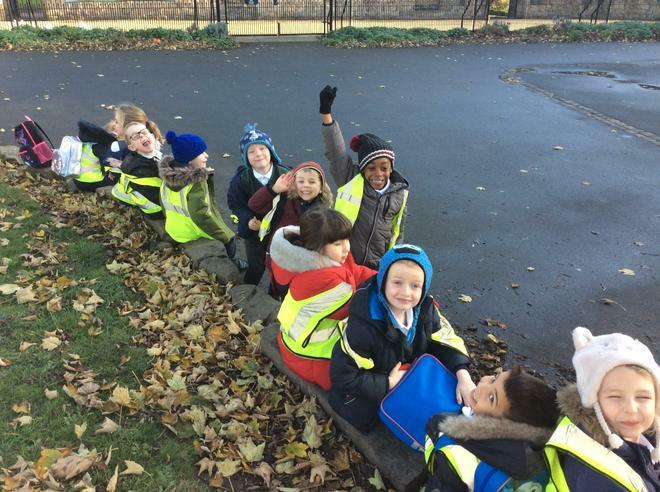 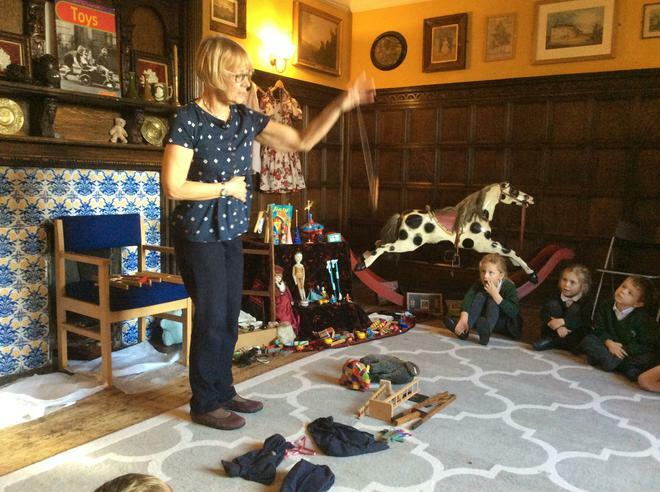 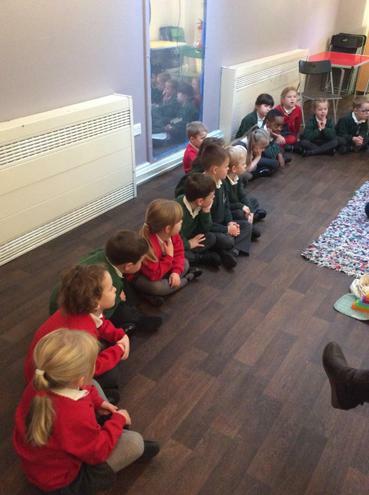 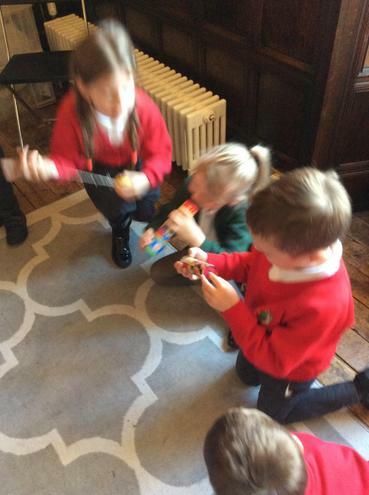 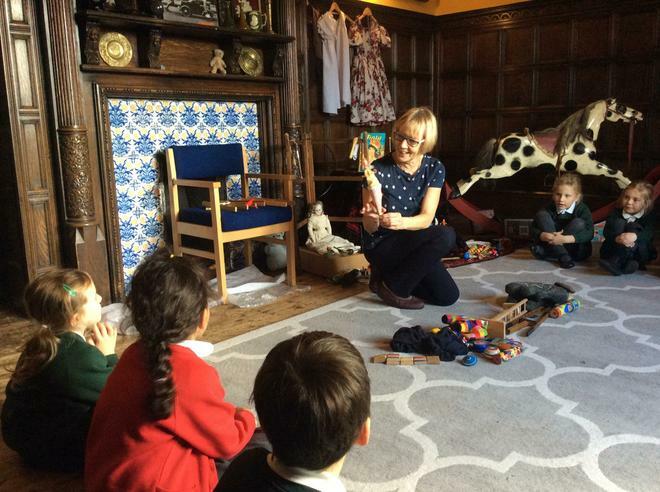 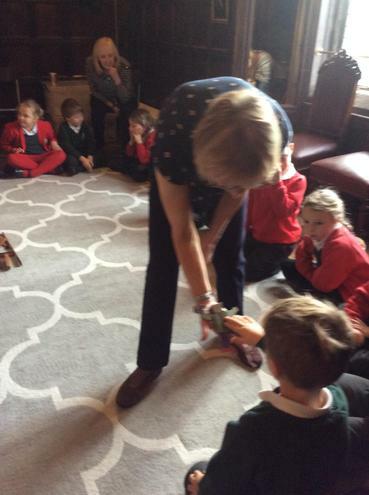 On Tuesday 13th November, all the children and staff in year 1 went on a trip to Abbey House Museum to support our learning topic 'Are old toys more magnificent than mine?'. 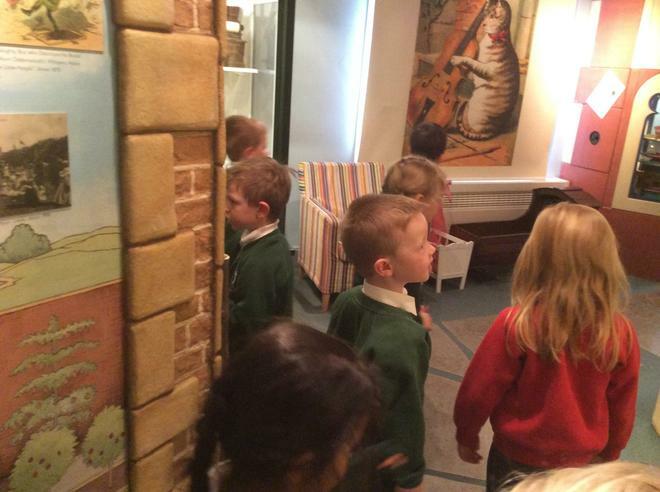 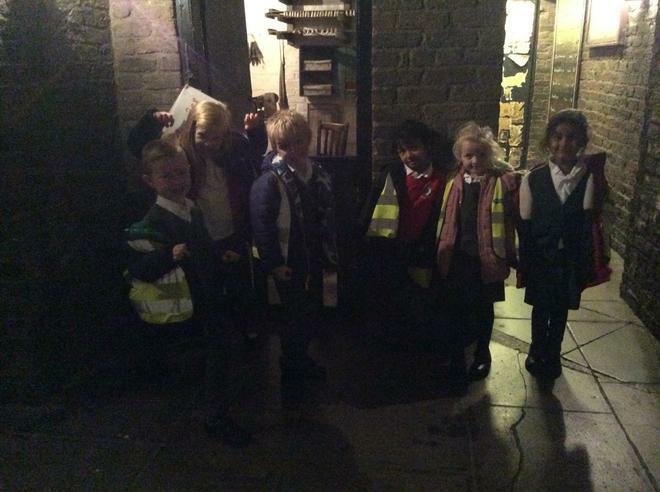 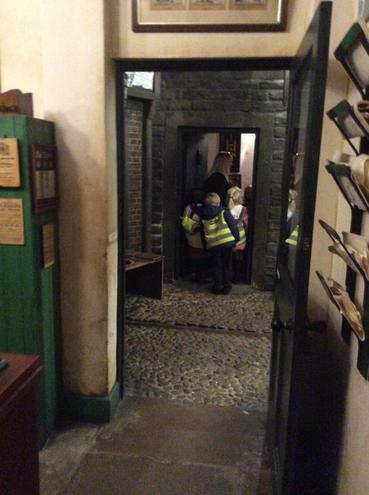 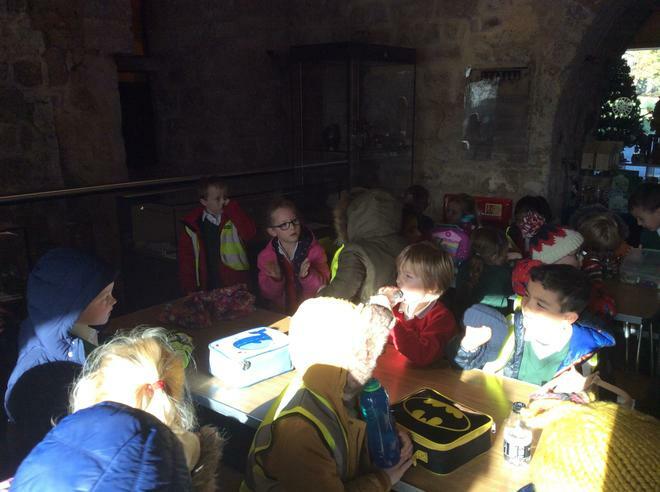 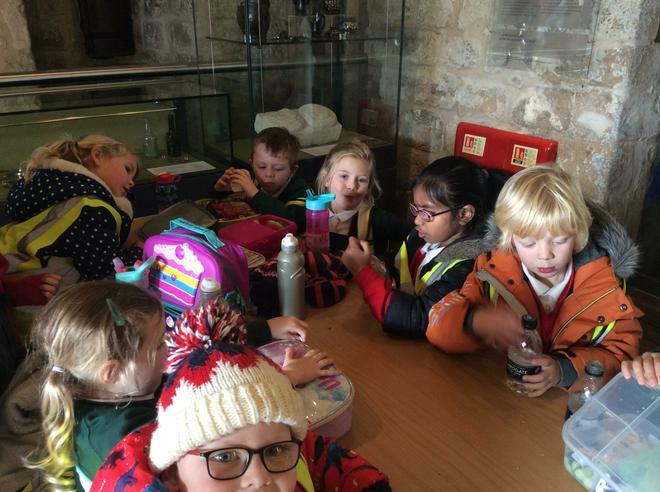 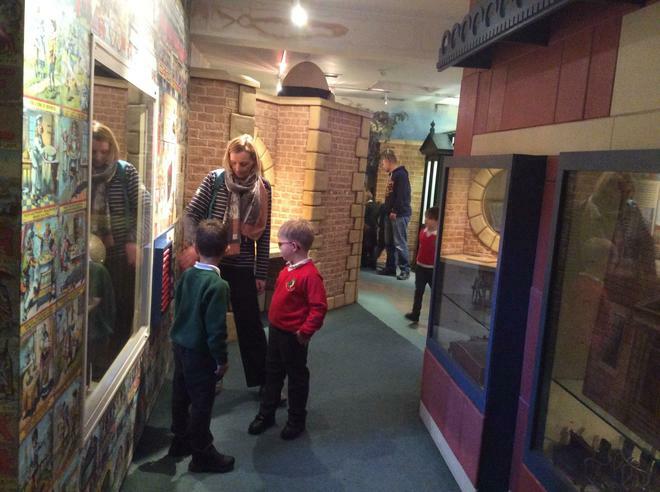 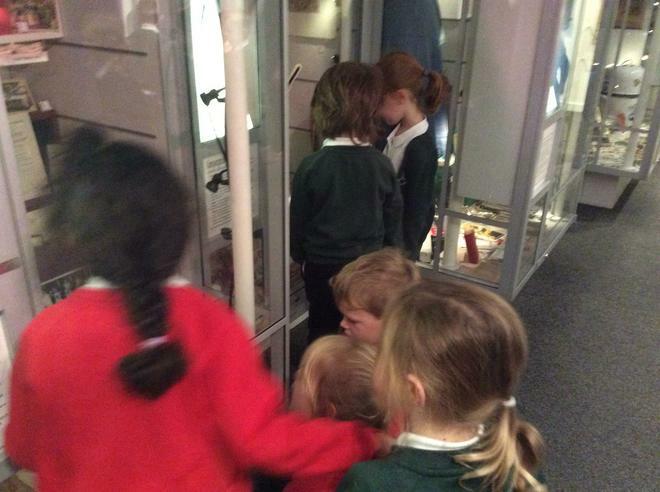 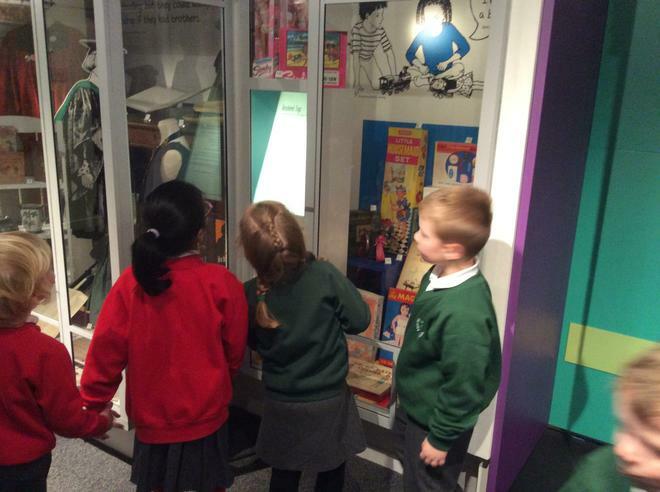 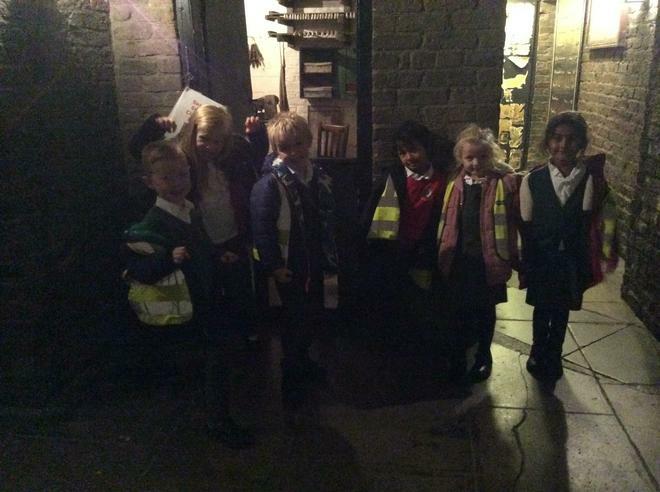 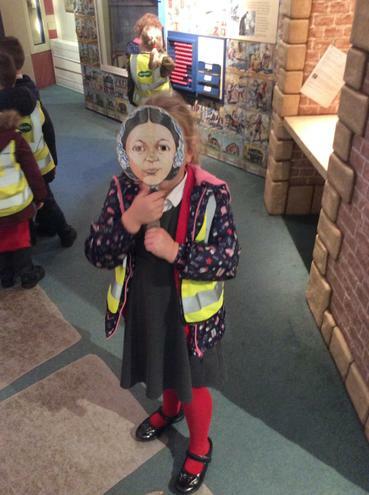 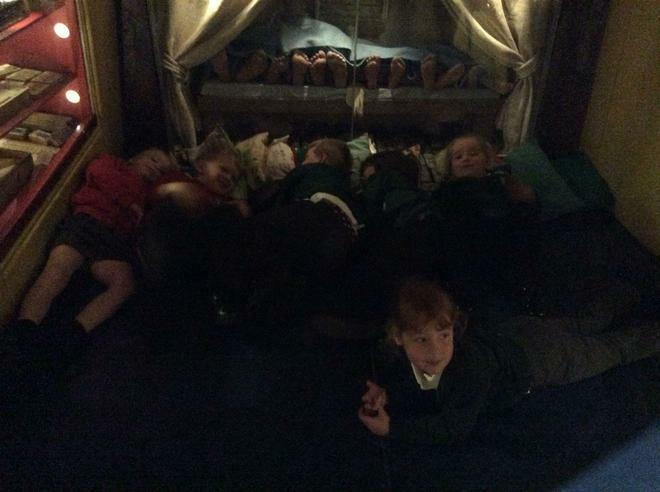 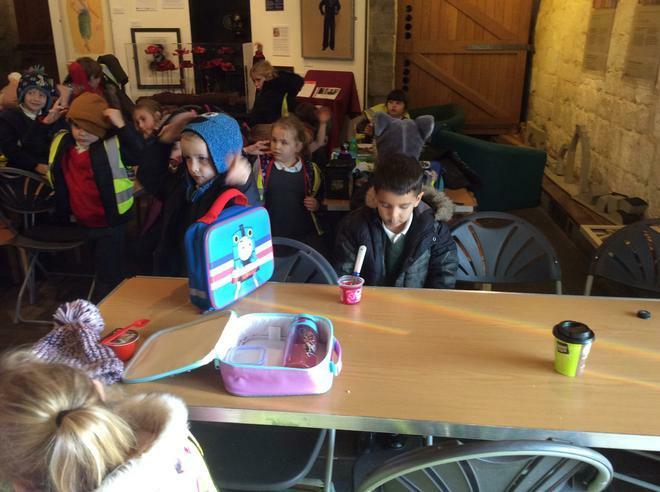 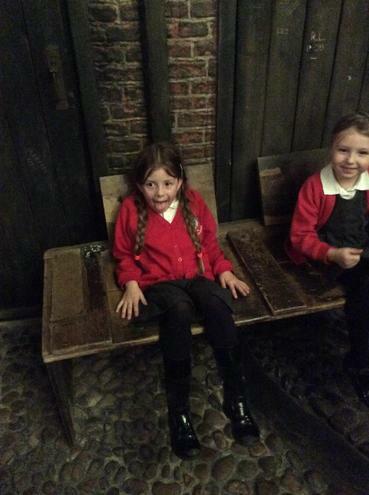 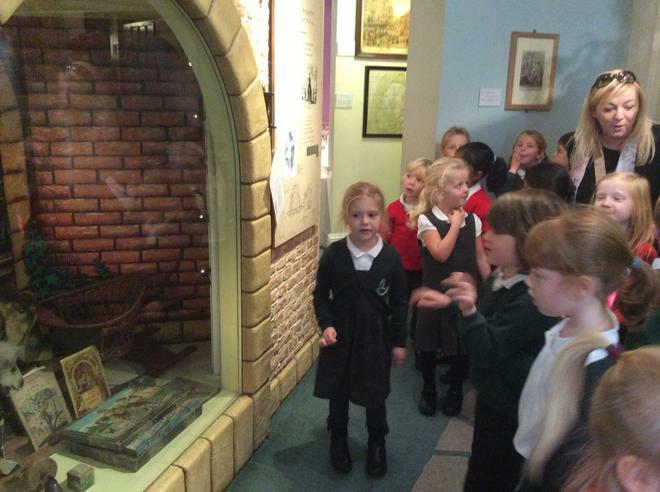 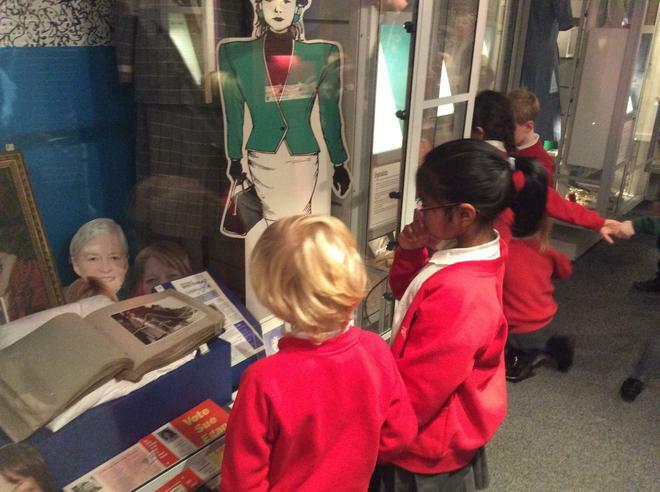 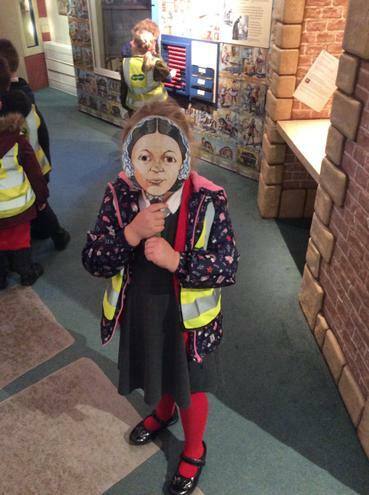 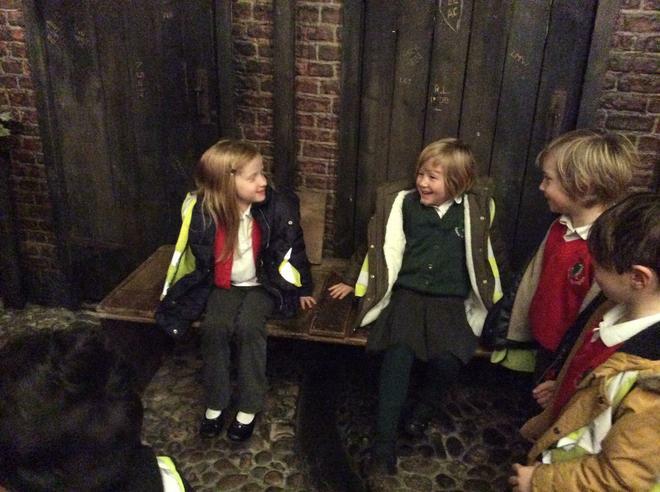 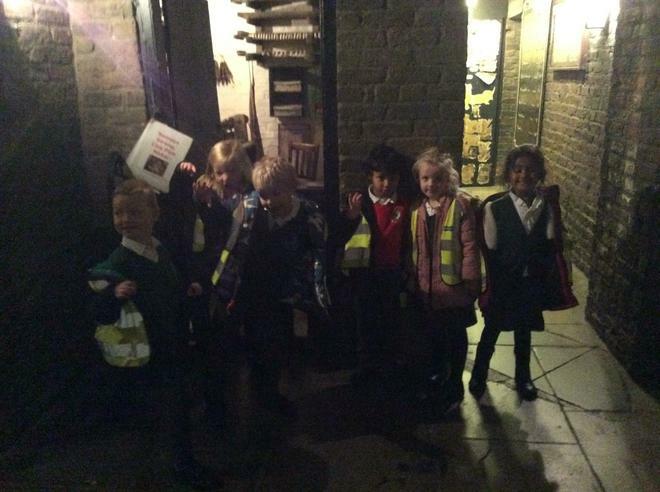 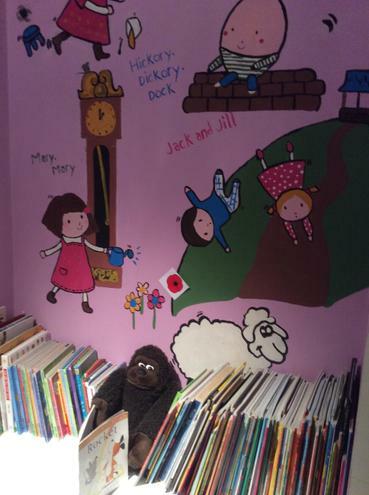 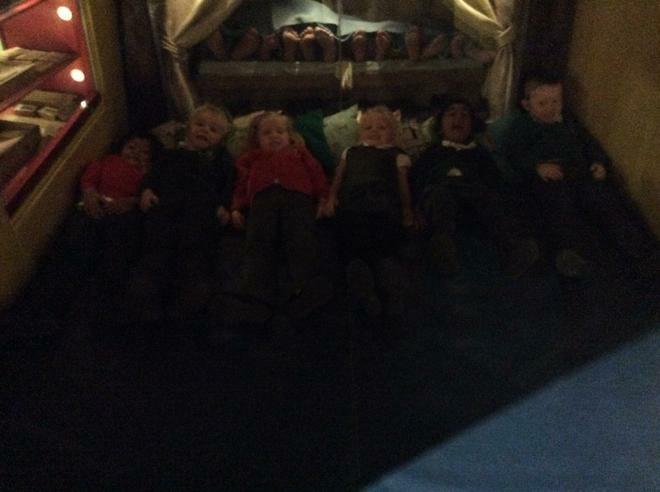 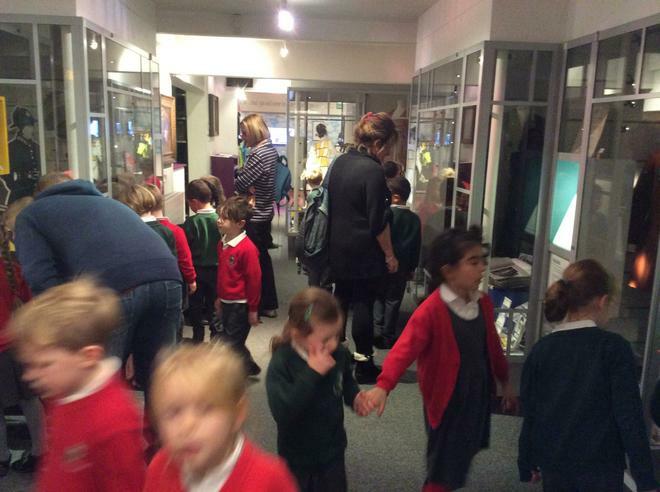 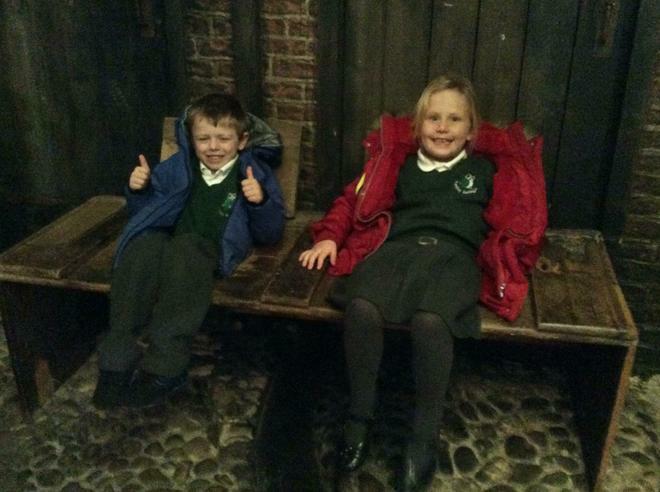 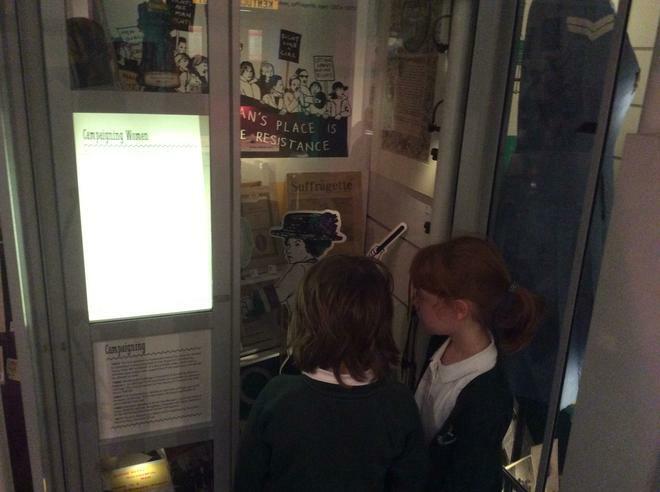 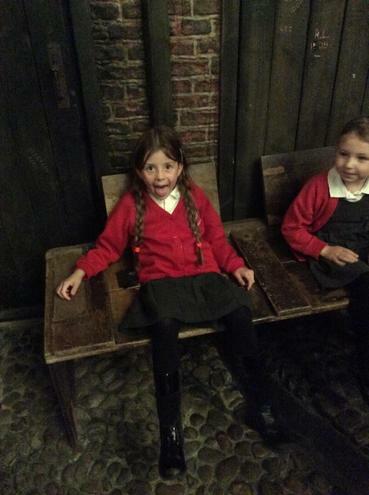 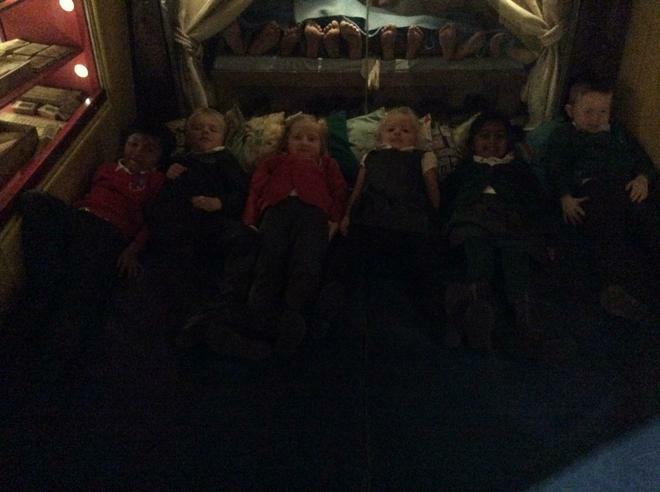 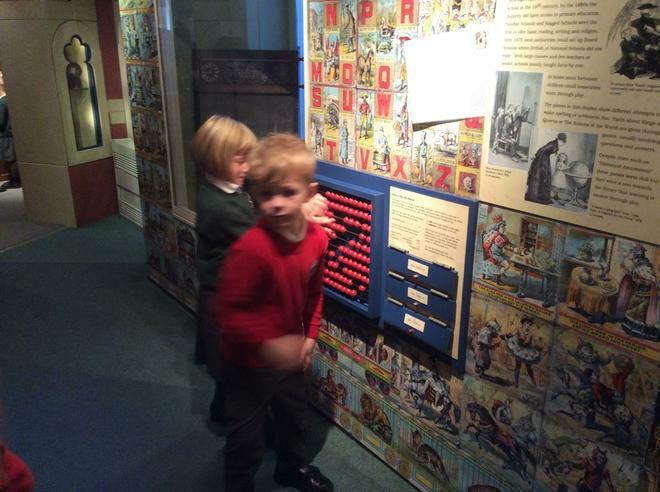 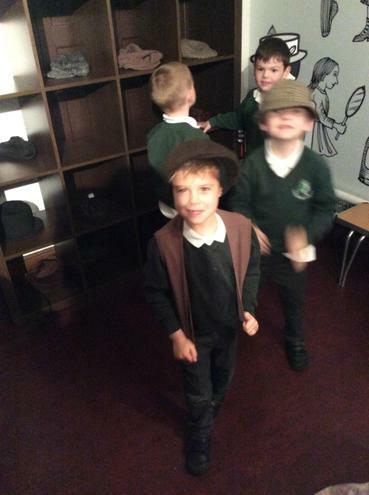 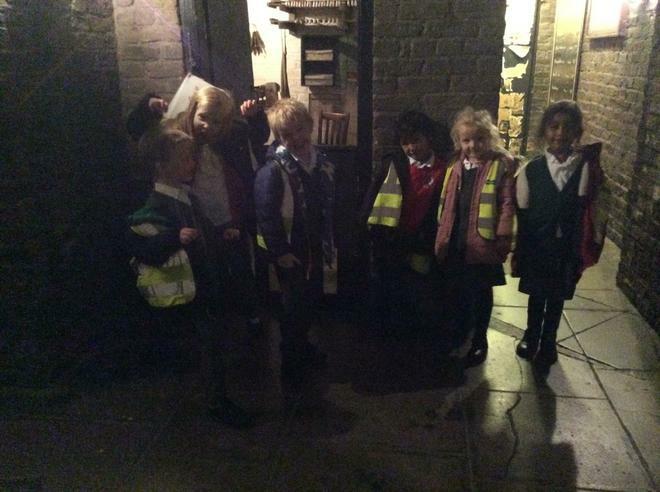 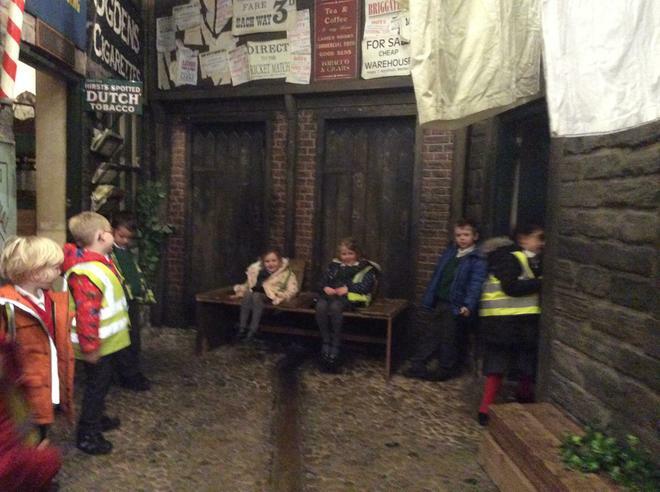 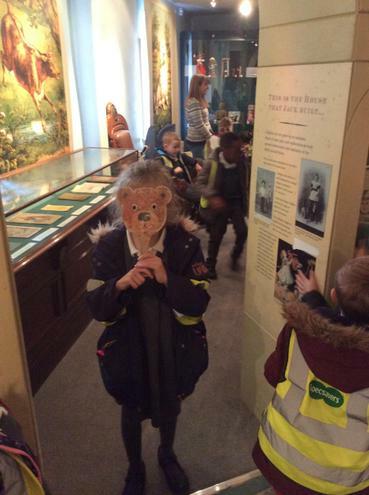 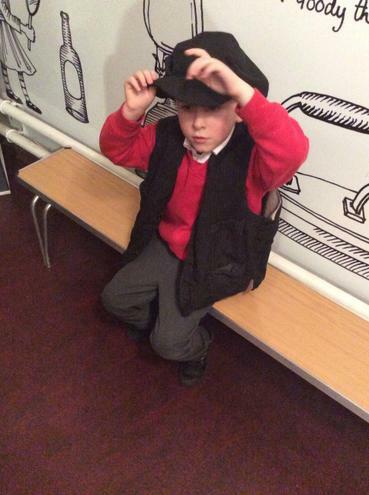 The children were all very excited when we arrived at the museum - they couldn't wait to look around! 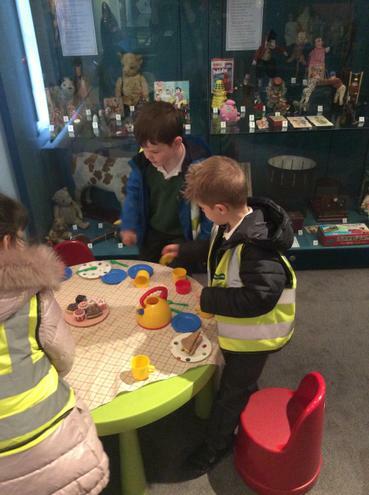 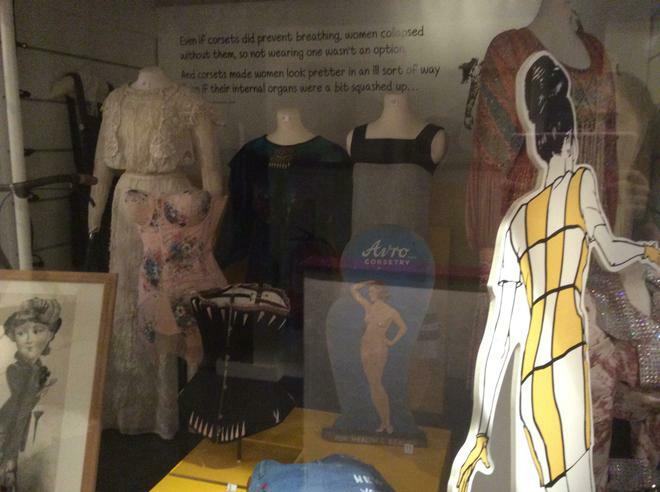 Part of the morning was spent exploring the museum and part was spent enjoying a workshop all about old toys. 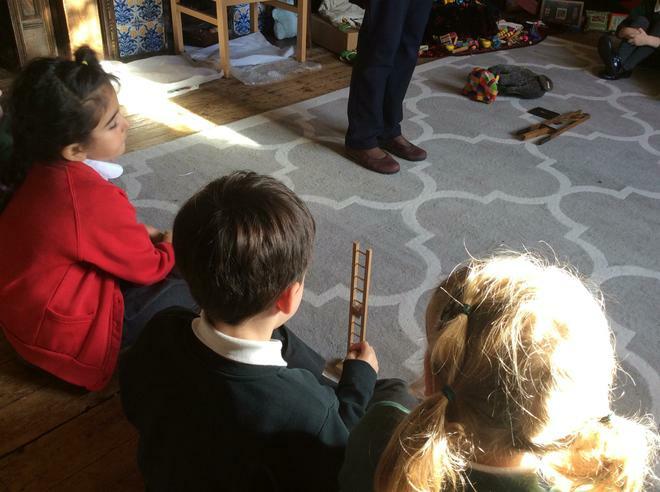 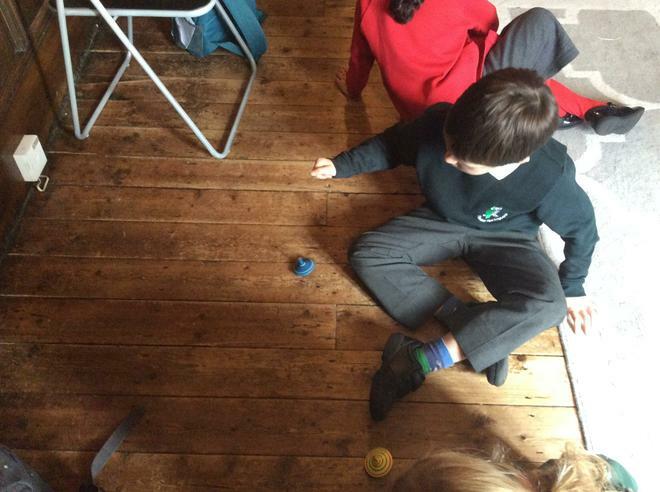 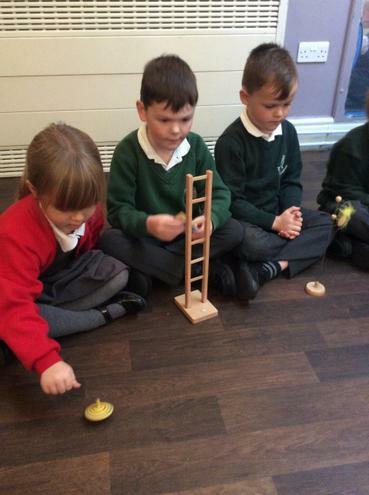 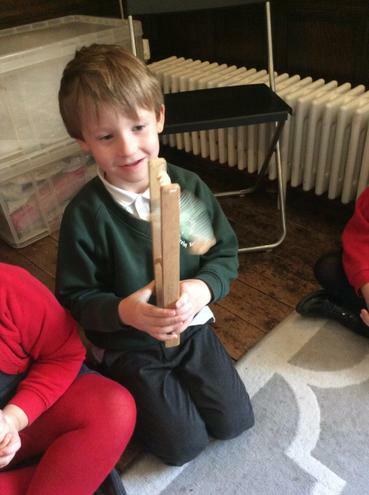 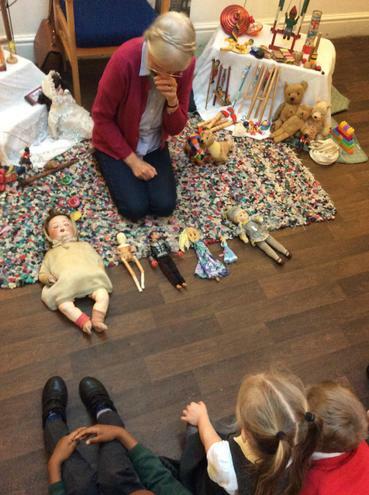 The children learnt a lot about old toys and about life 100 years ago: how the children would have had to make their own toys because they were so expensive and what toys were made from all those years ago. 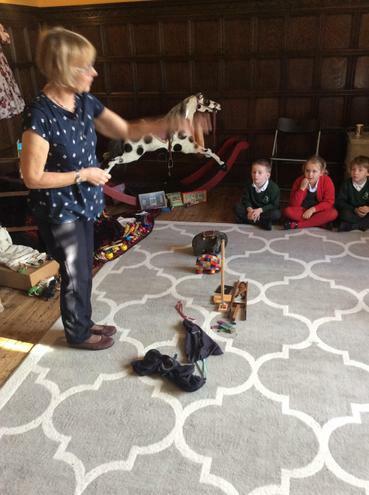 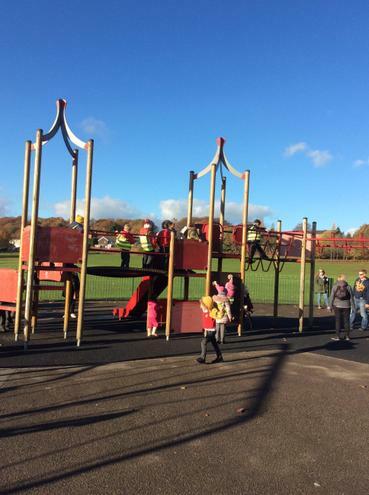 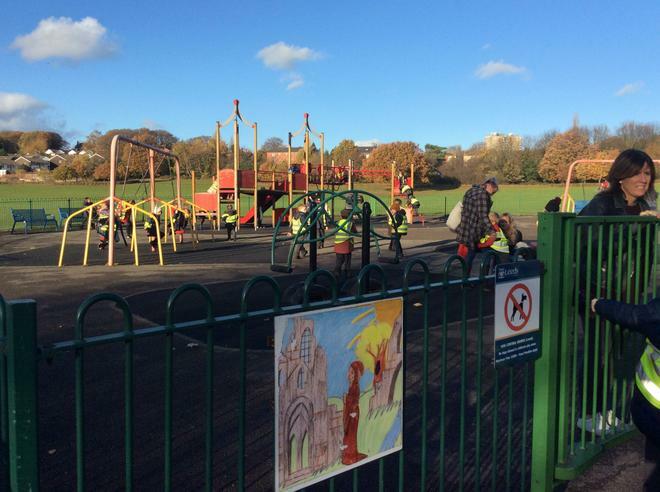 The children were lucky enough to be able to play with some of these old toys and we talked about how to recognise the differences between old and new toys. 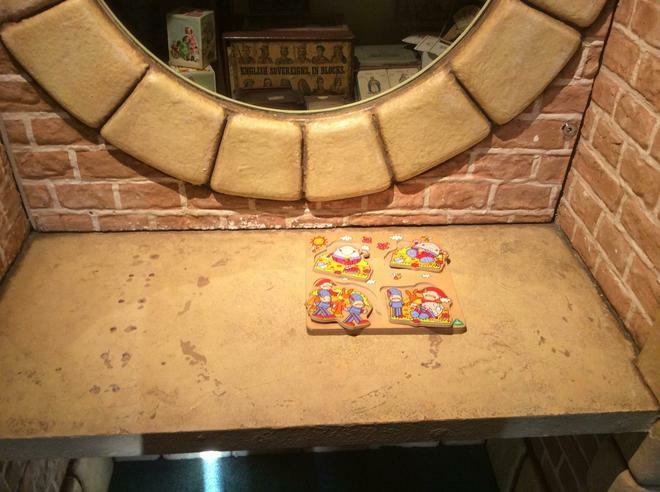 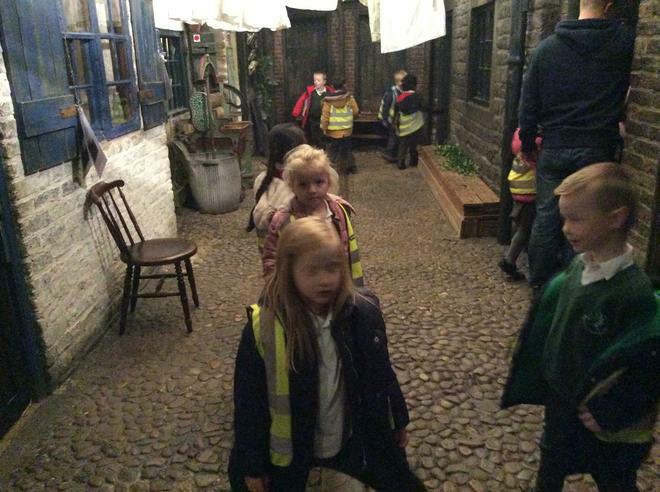 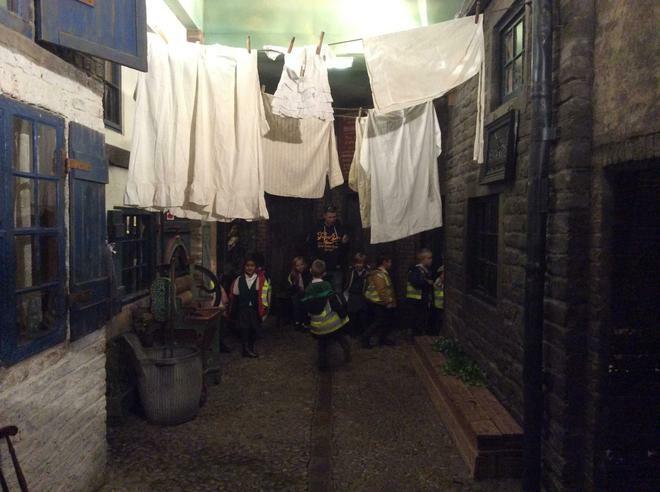 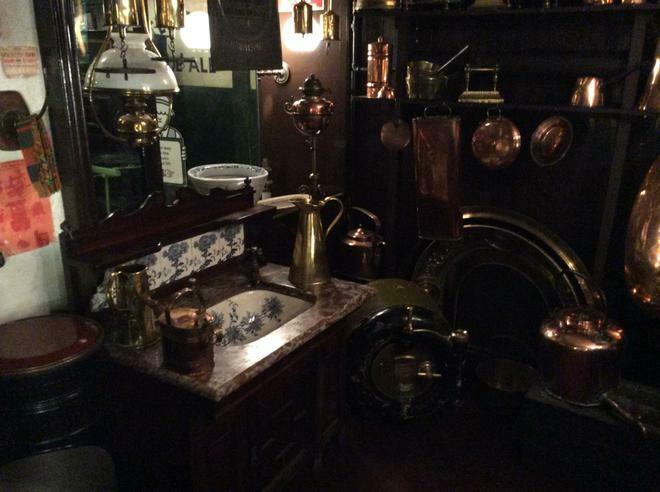 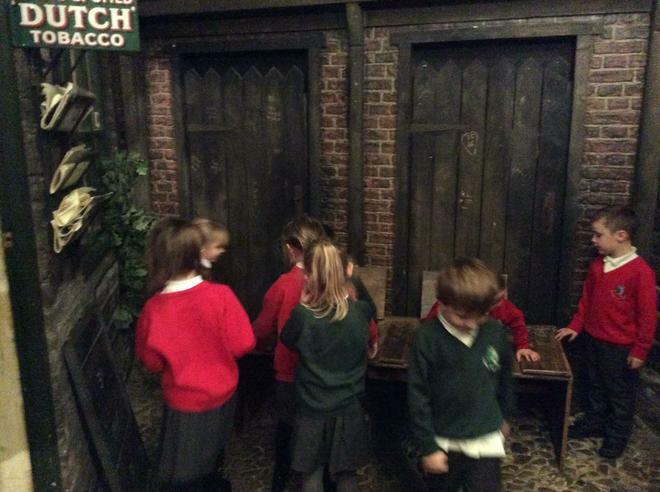 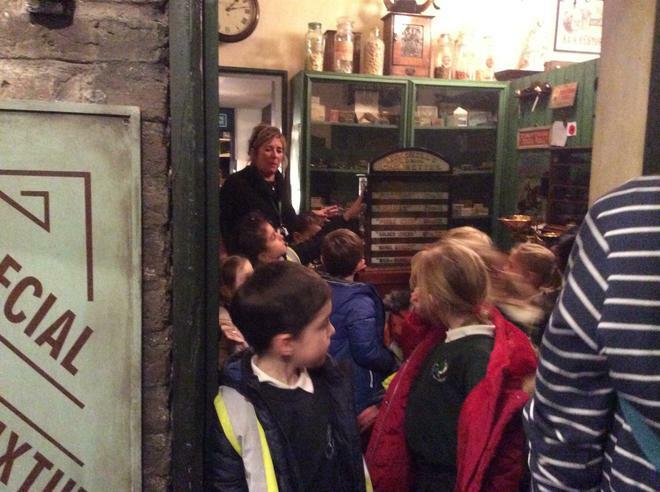 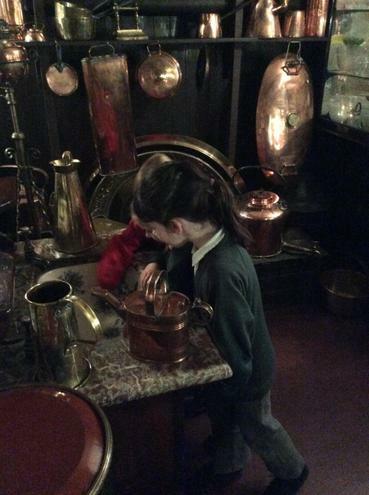 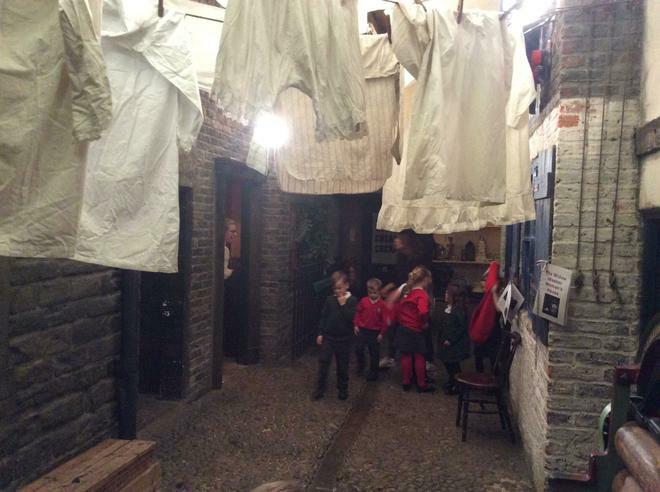 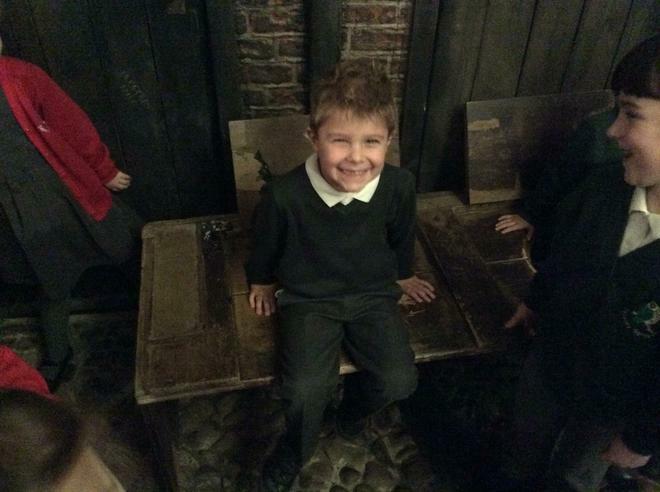 Throughout the rest of the day, the children explored the cobbled streets and looked in all the old shops, spending some time trying to figure out what everything was used for in the olden days. 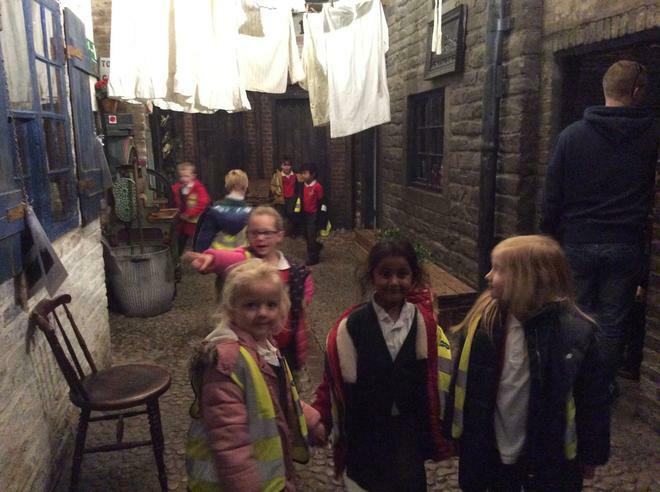 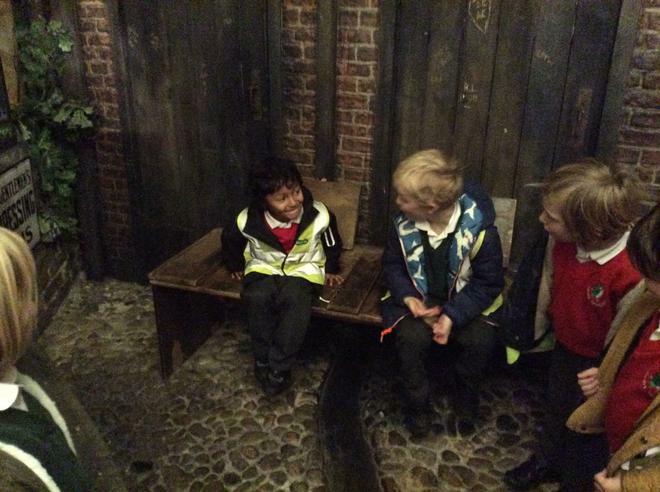 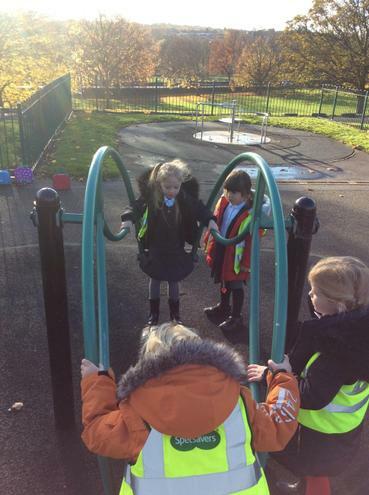 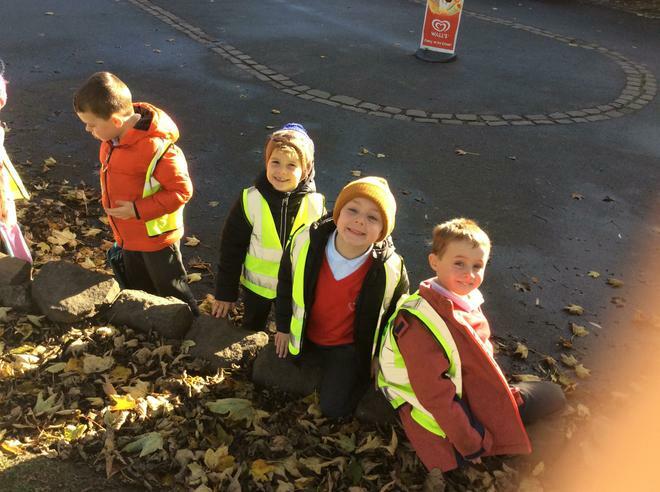 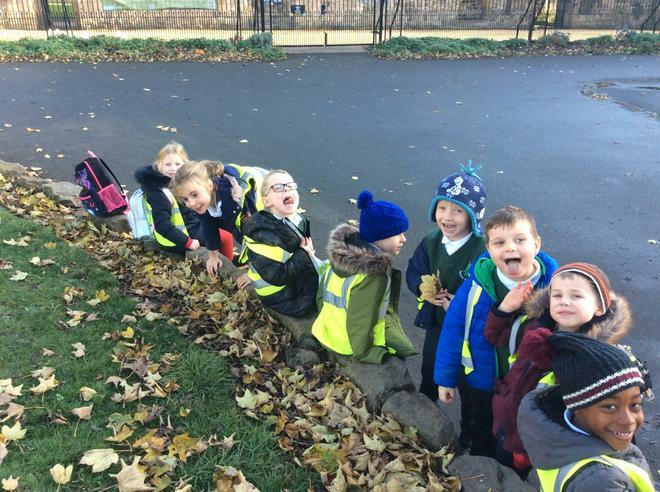 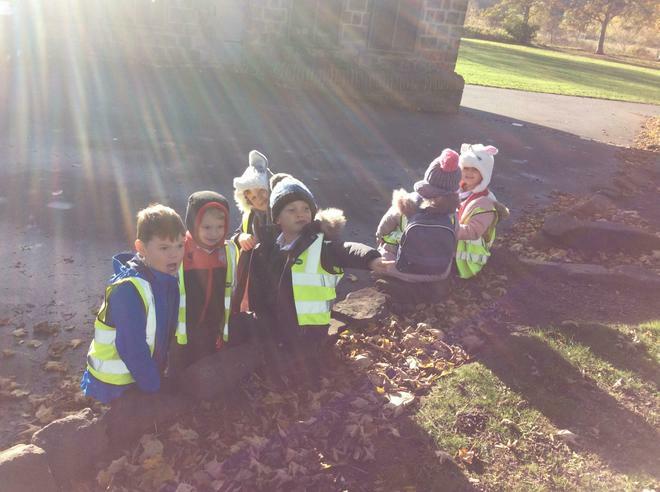 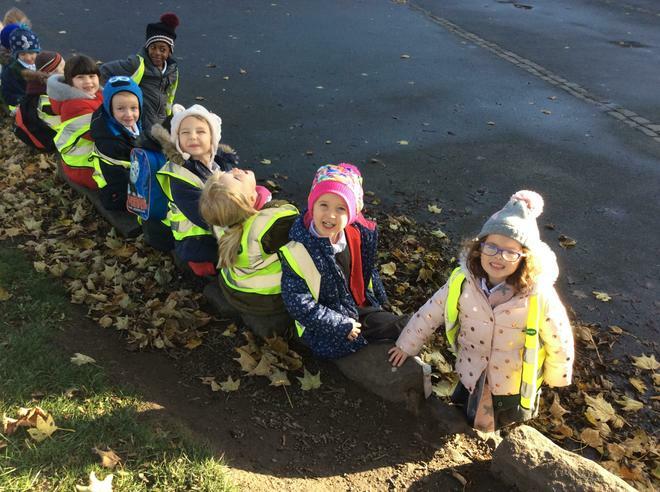 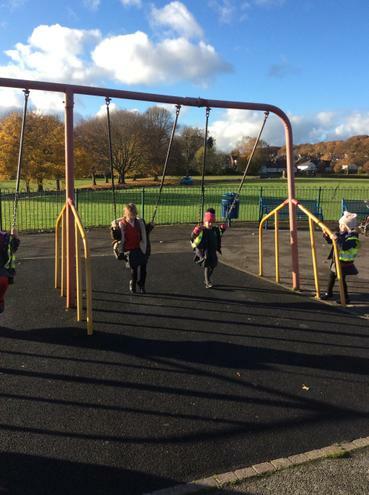 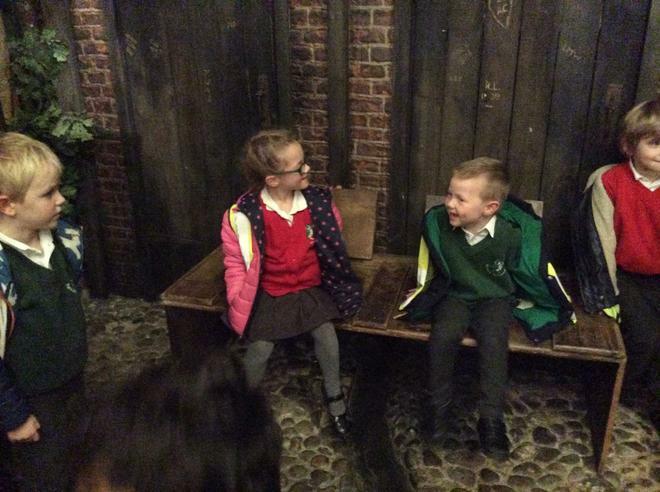 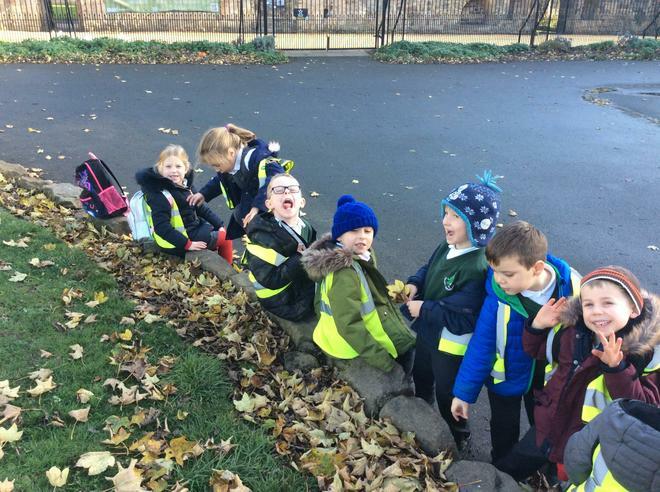 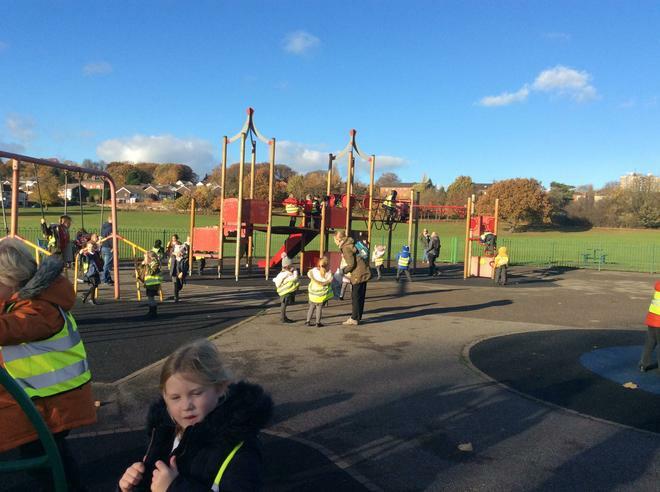 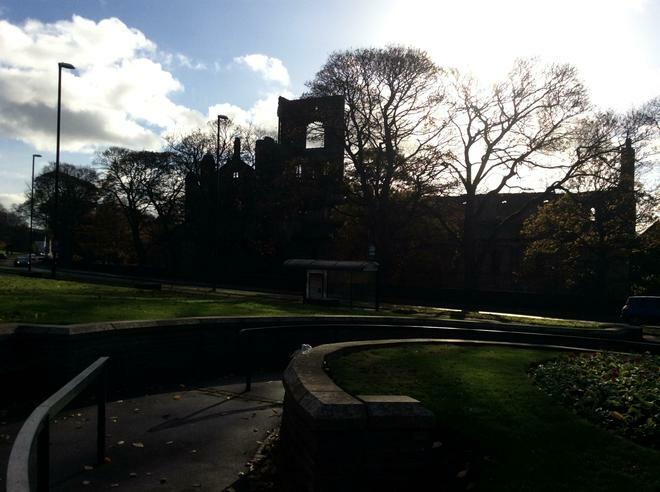 This trip was a great way for the children in year 1 to expand their understanding and knowledge of History and to find out about life all those years ago. 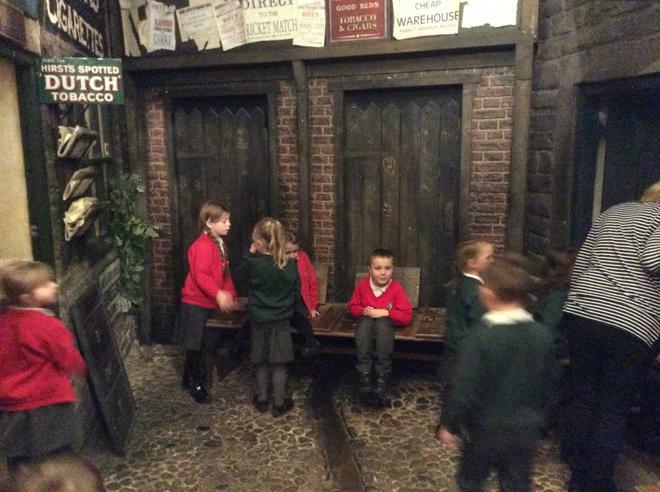 Here are some photos from the trip for you to enjoy.